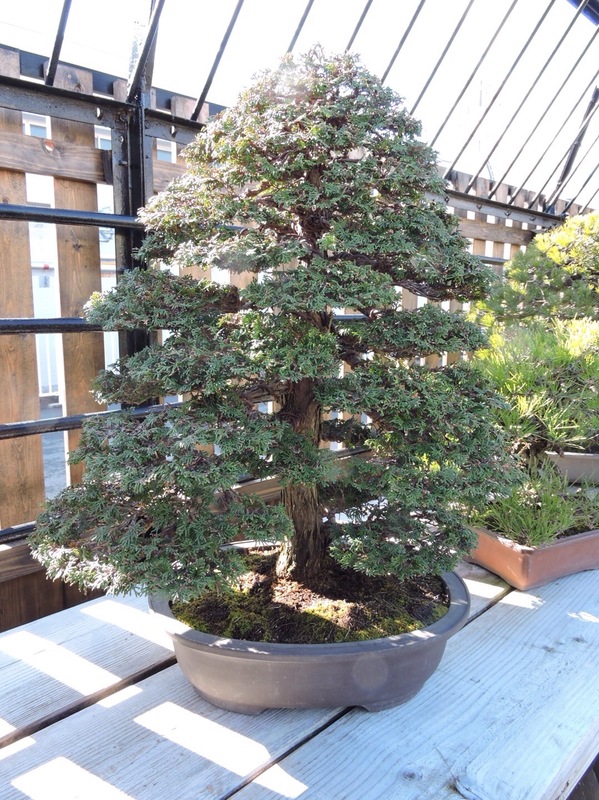 This little azalea some of you will remember if like me in the early days the Book by Colin Lewis was a must. 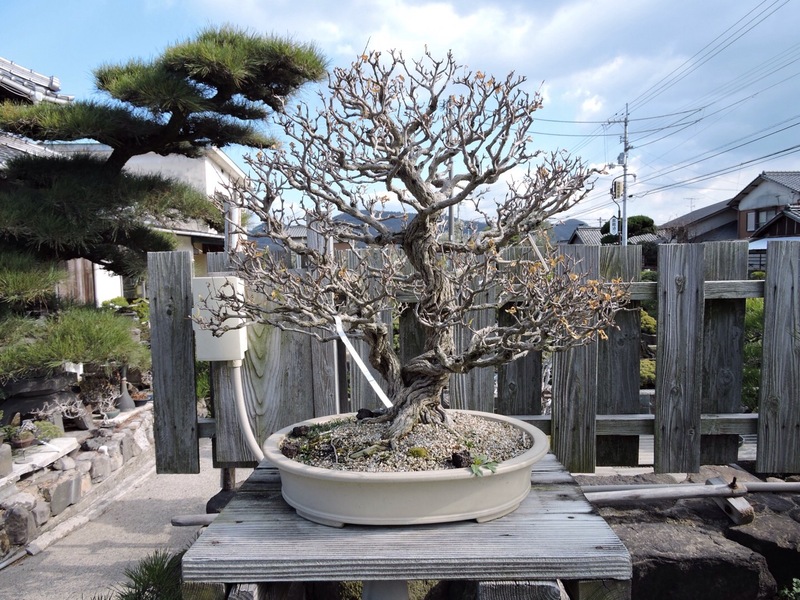 The little azalea that featured in the book is owned by a good friend of mine. 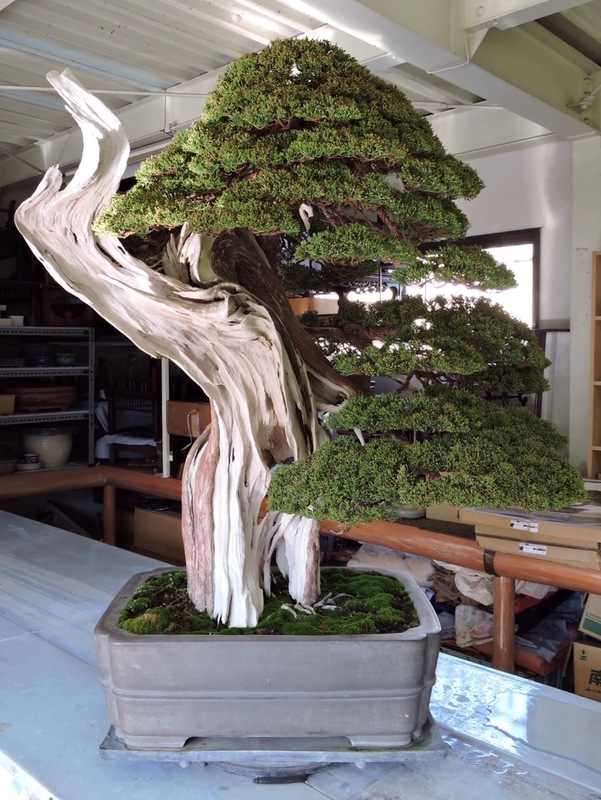 He purchased it direct from Colin at the wisley hall where we had our show last week. 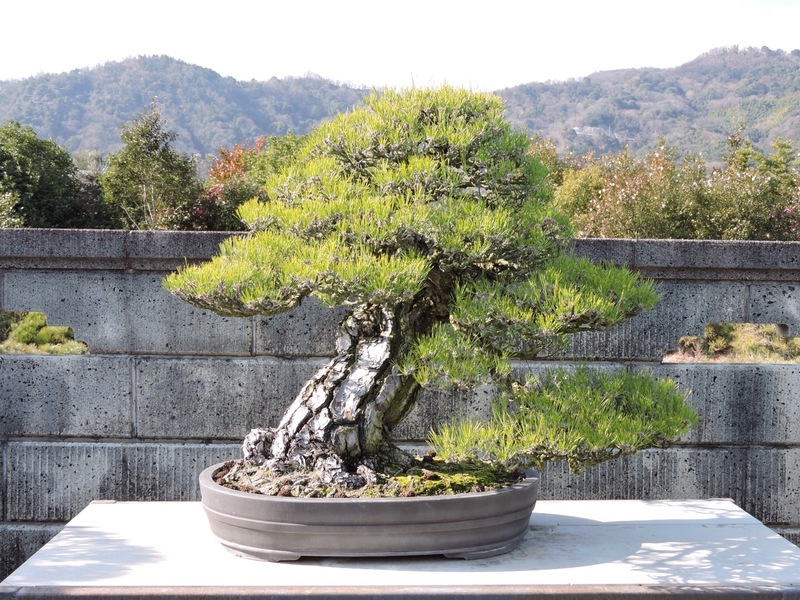 The book first published in 1993 said it was 3 years in training, if it took a year to get to print and it was about a 10 year old then it’s around 35 years old now. 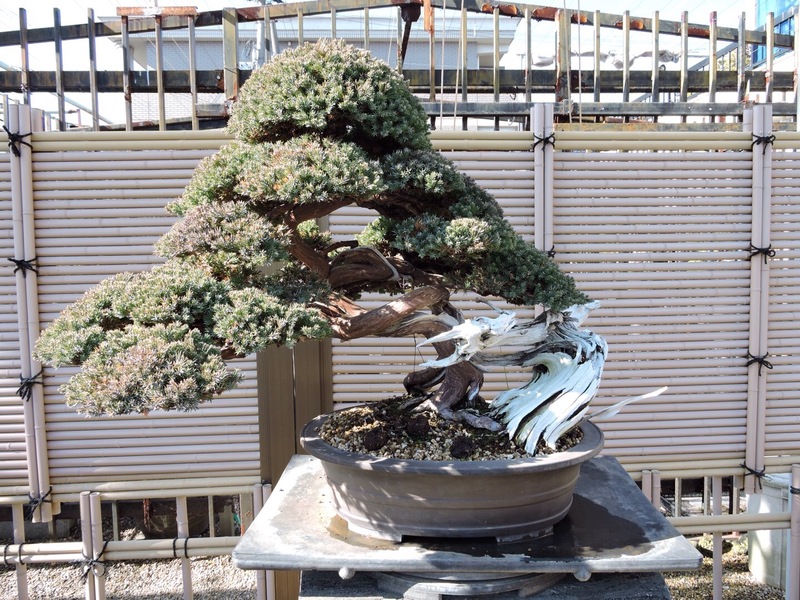 Here it is in the book. 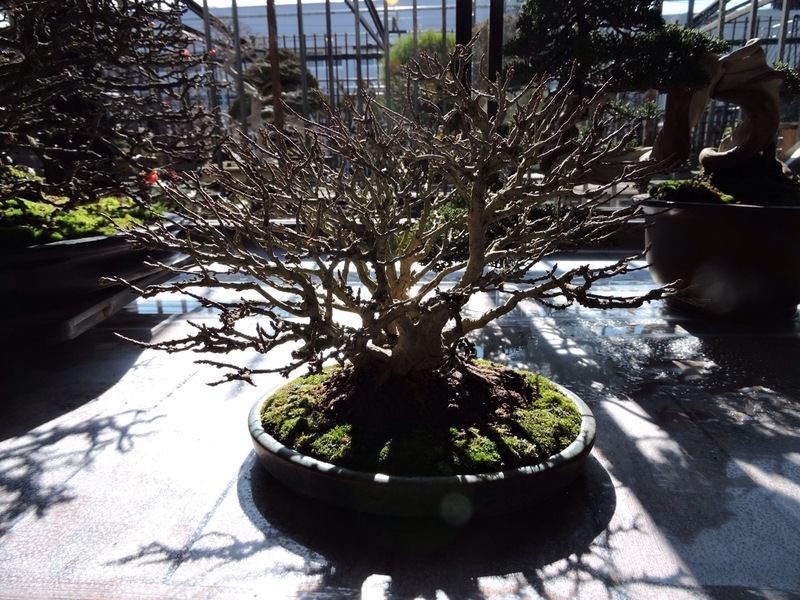 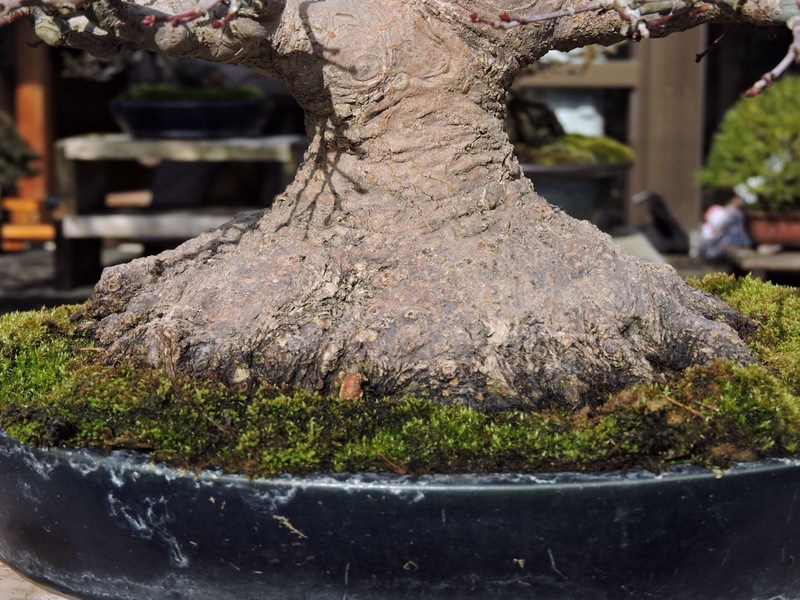 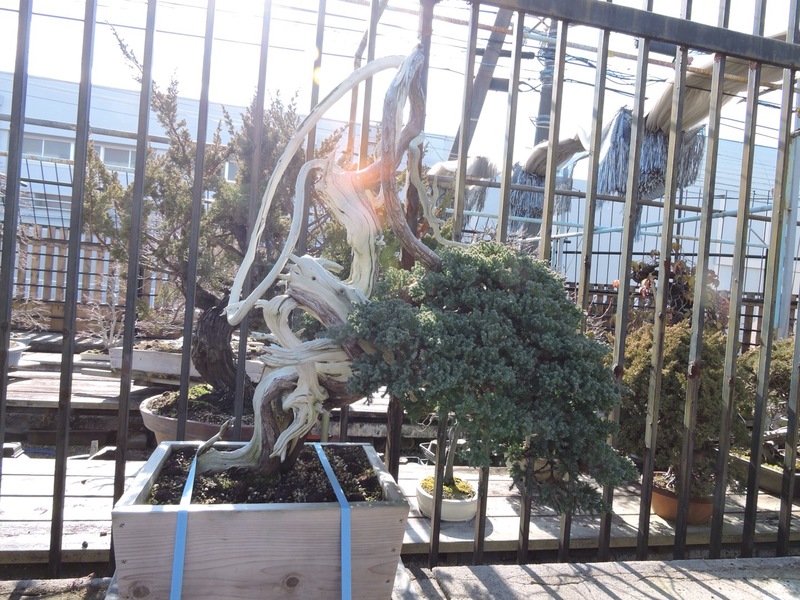 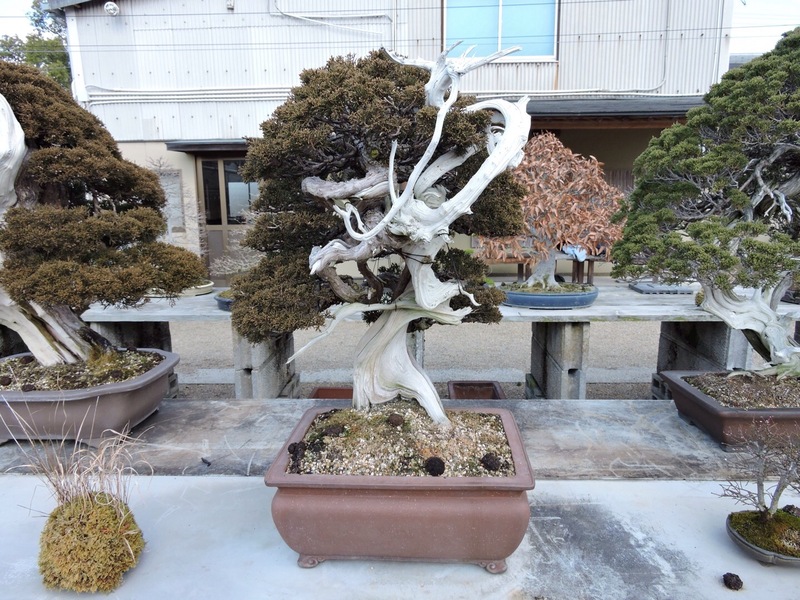 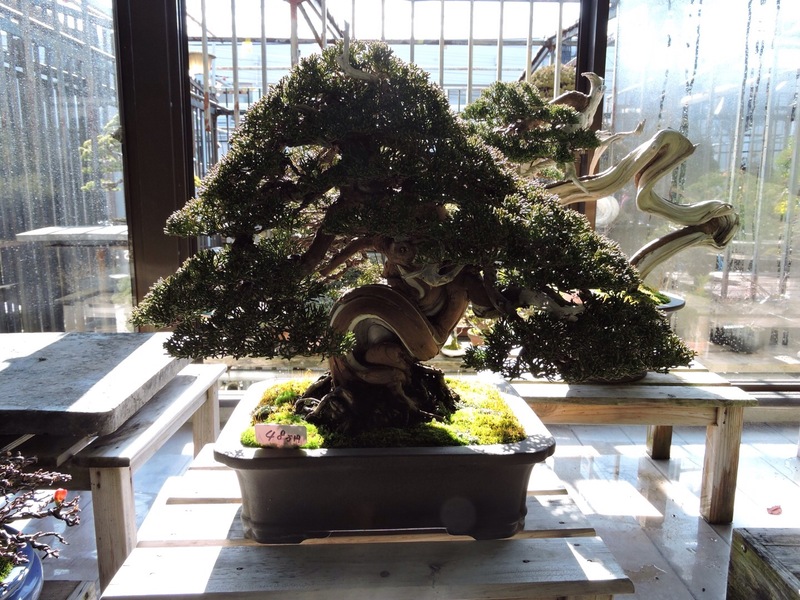 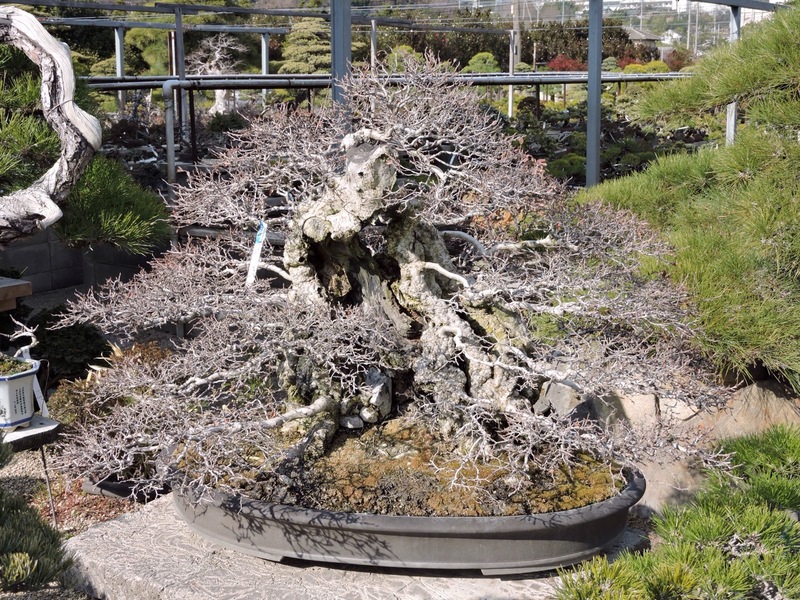 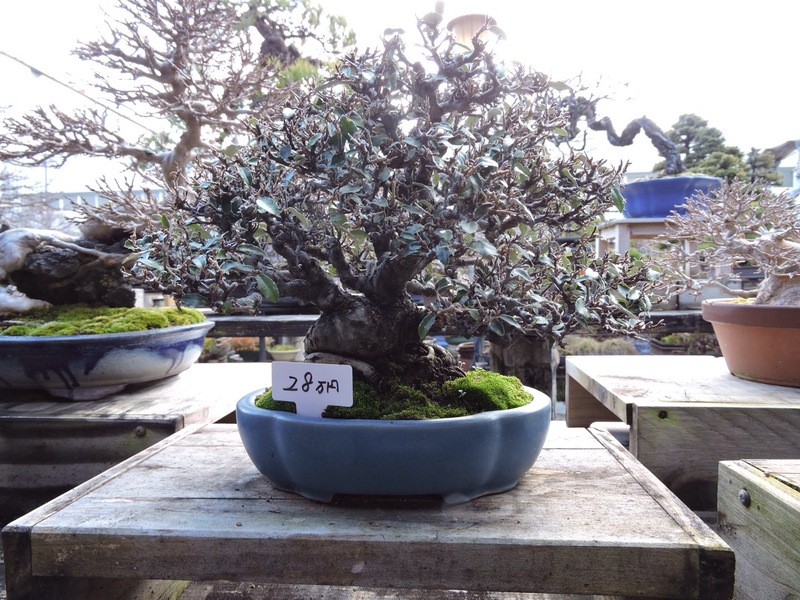 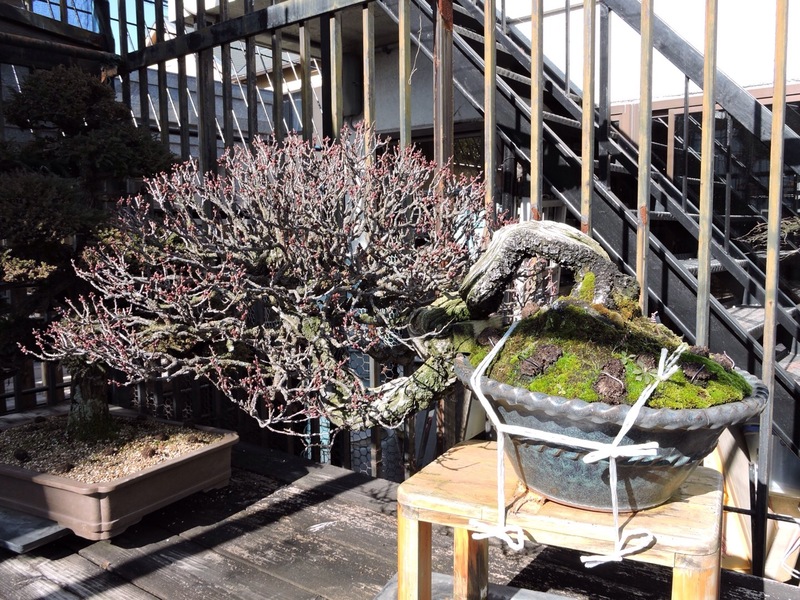 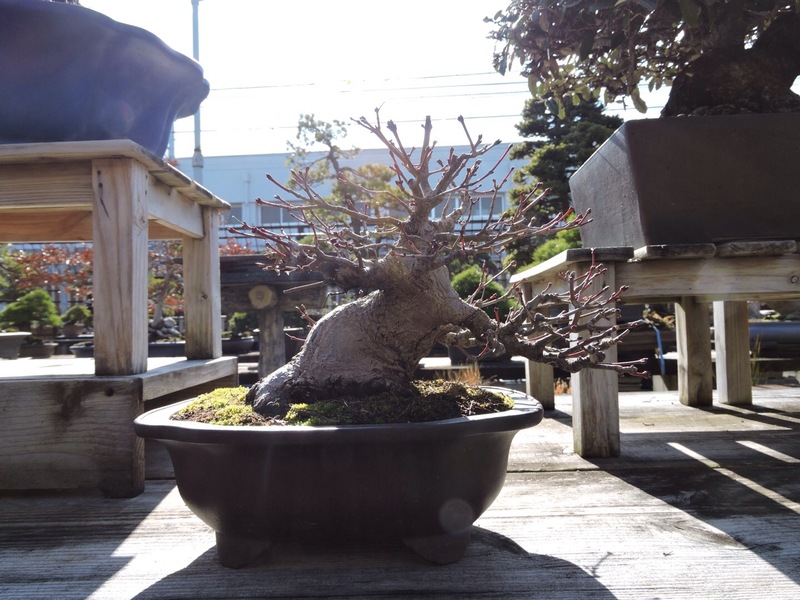 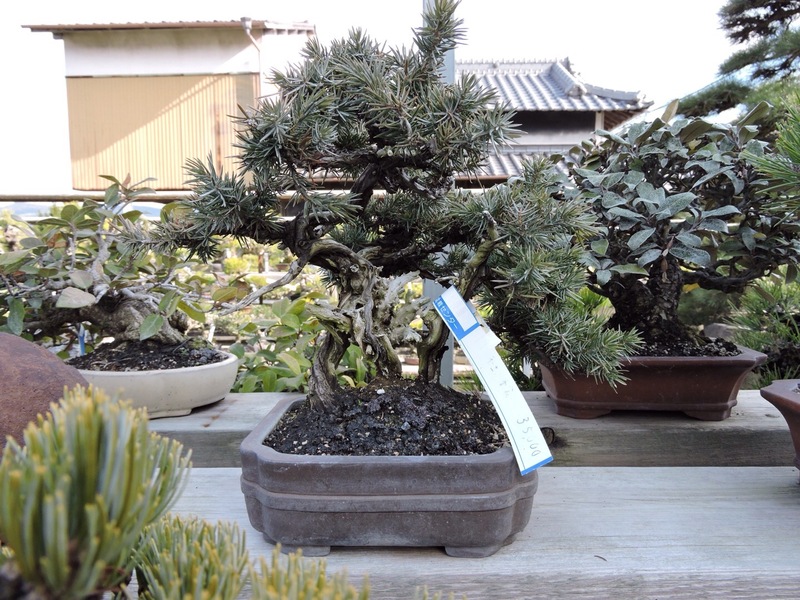 Here it is on display at the show, change of front now but still a good nebari. 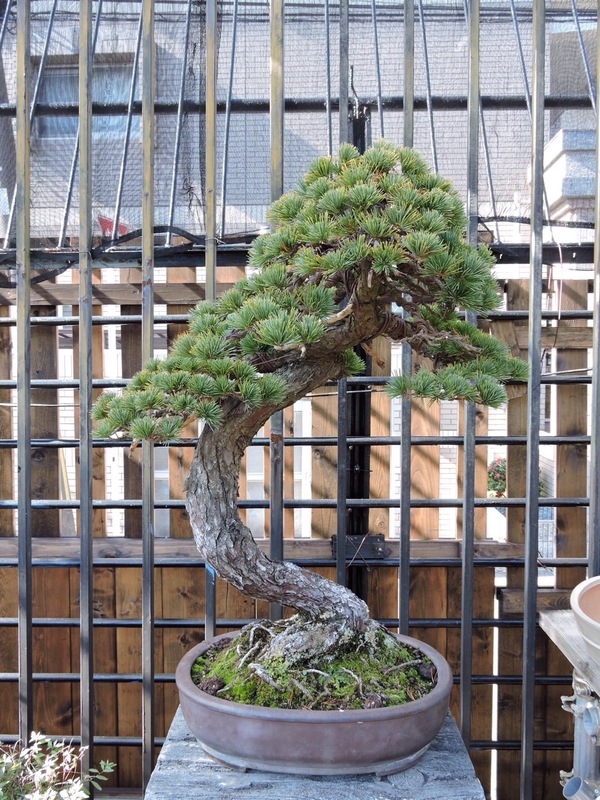 I wonder where the next 30 years will take this special little tree. 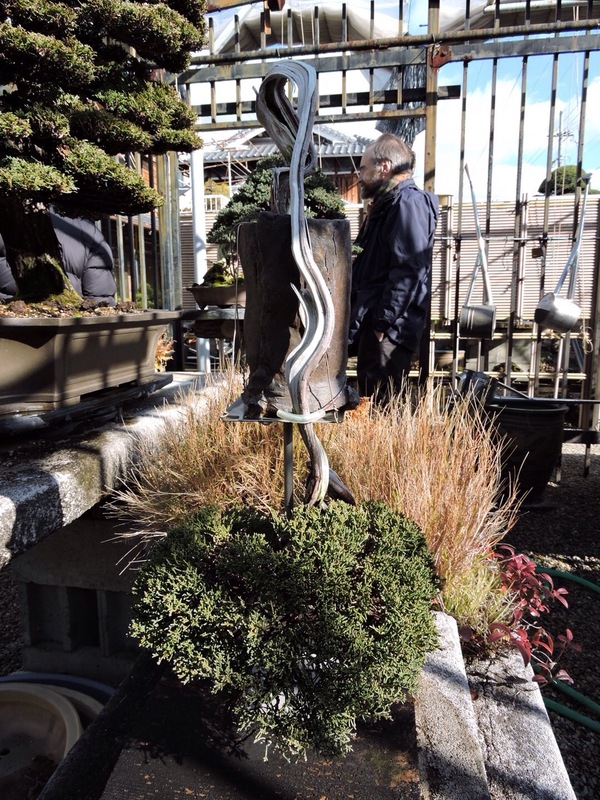 Our visit to Jean-Paul Polmans garden. 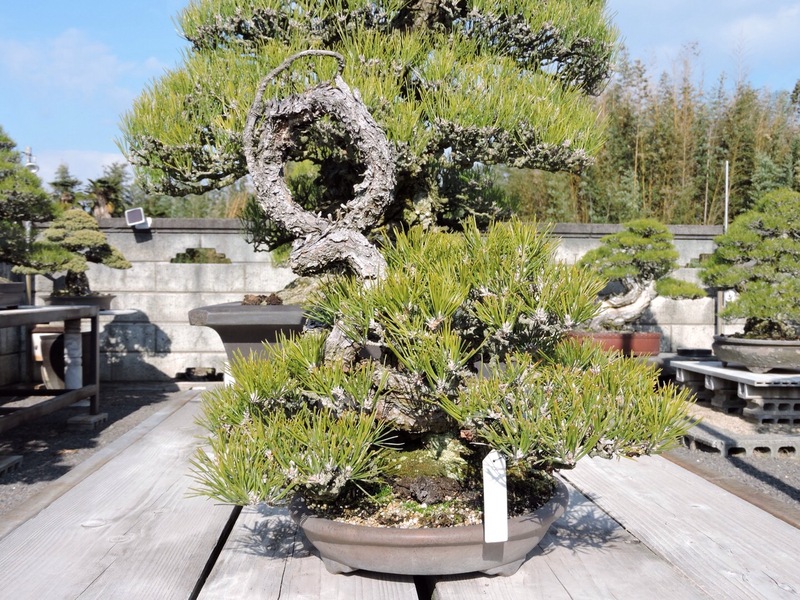 After the fun of the Noelanders weekend we left on the Monday morning for Jean-Paul Polmans garden just a 15 minute drive from Gent. 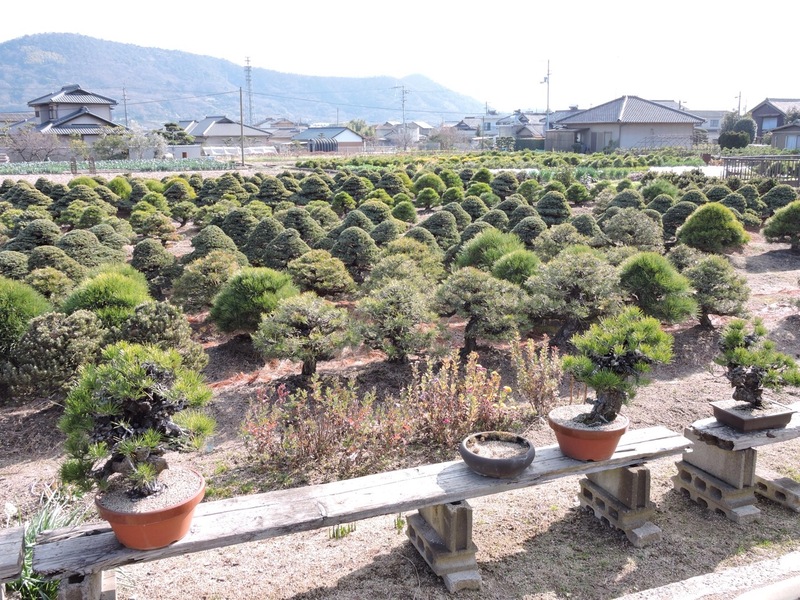 Not knowing what to expect from the garden we entered through the car port and faced with a bueautiful garden layout very much in the japanese theme. 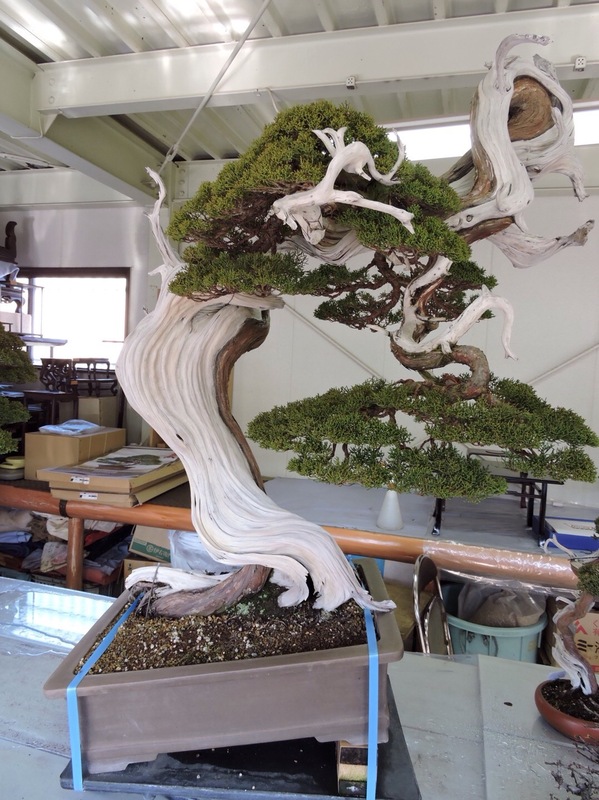 The whole layout and attention to detail is so well done. 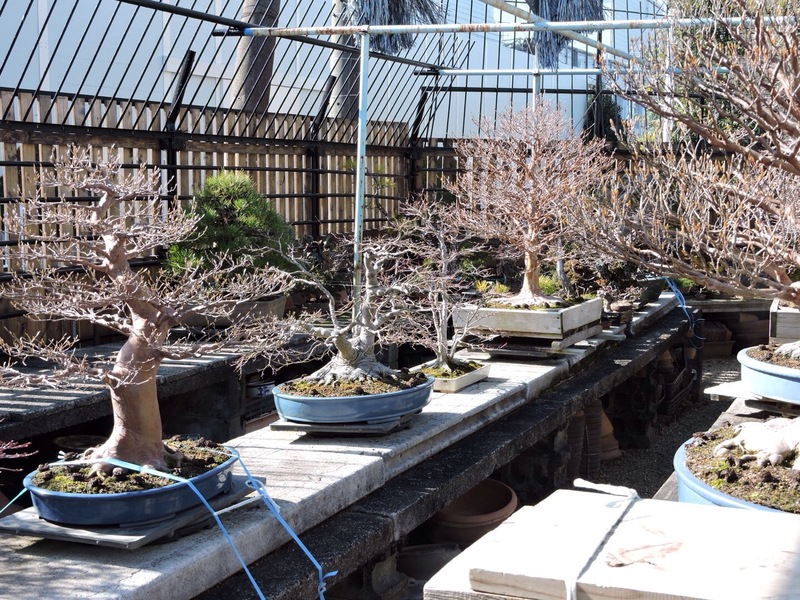 The garden is divided in half and the display benches are in the second half along with a huge work room and a covered section with large pot rack behind. 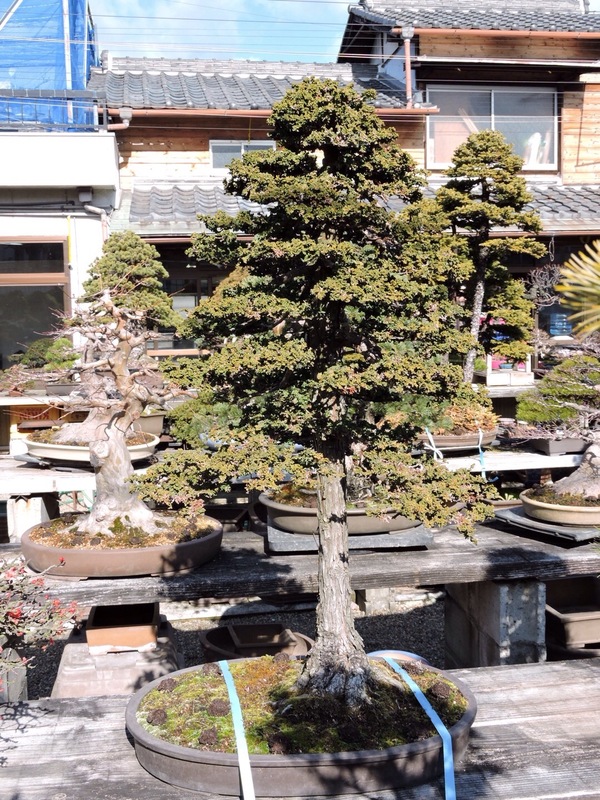 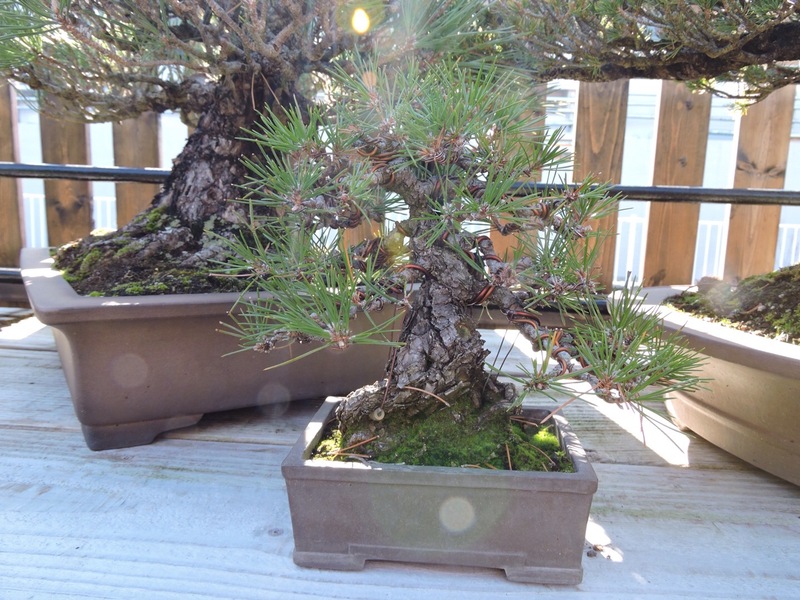 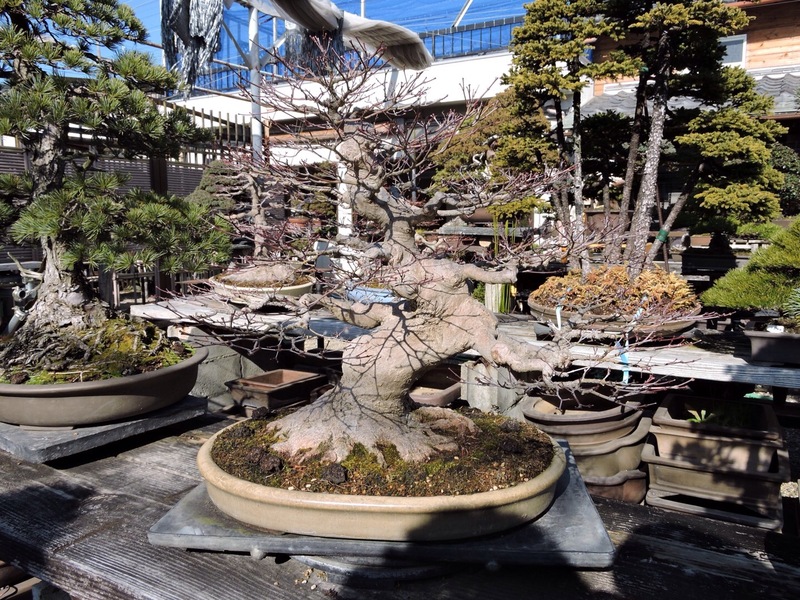 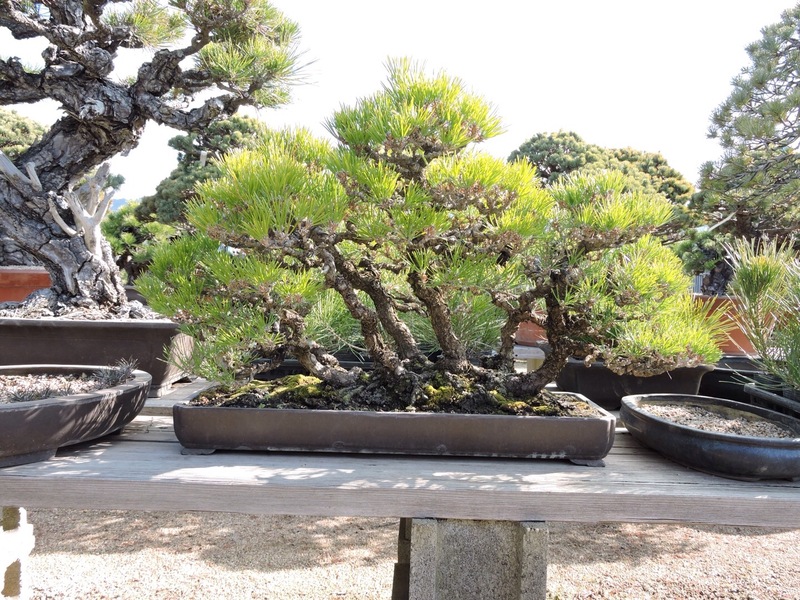 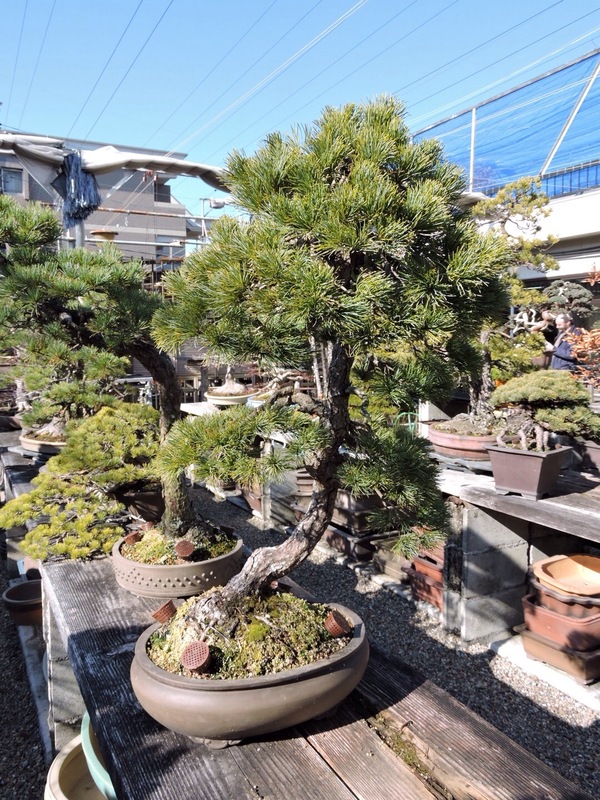 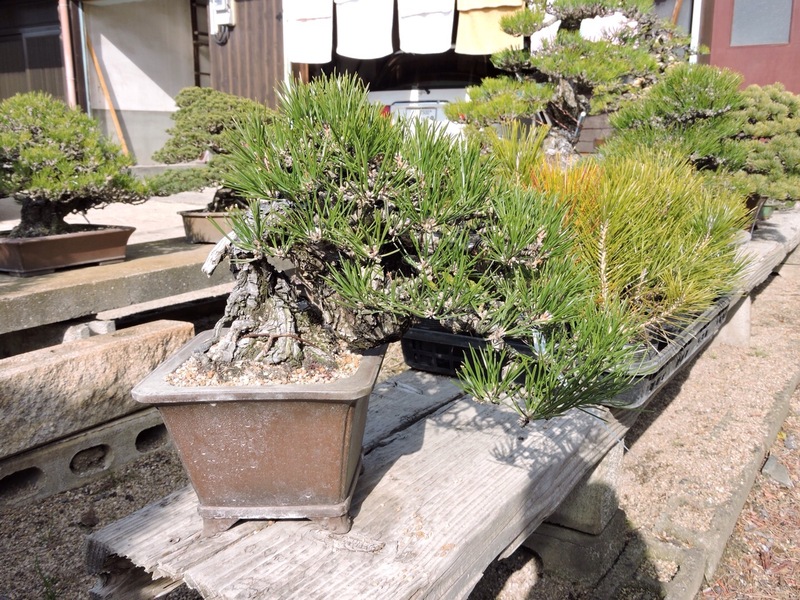 More trees from Kouka-en nursery. 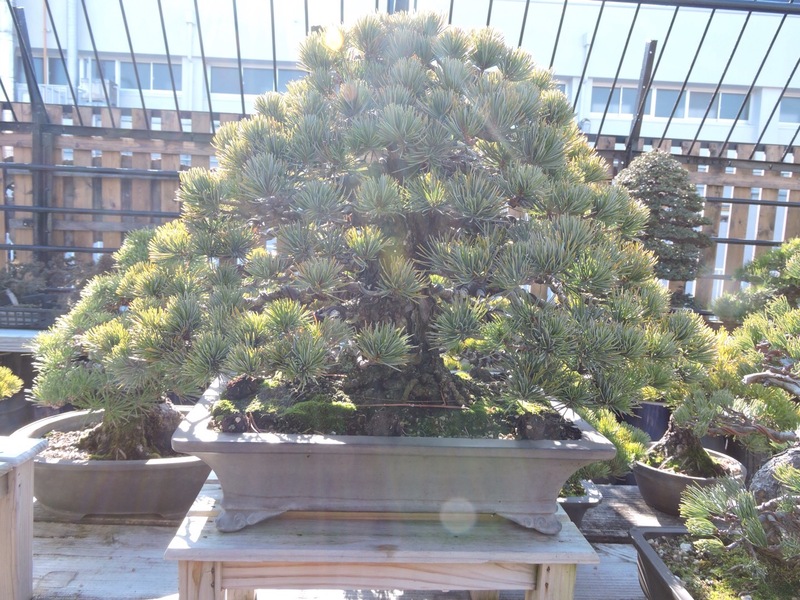 I think this was my favourite tree, black pine over rock it was interesting and something different. 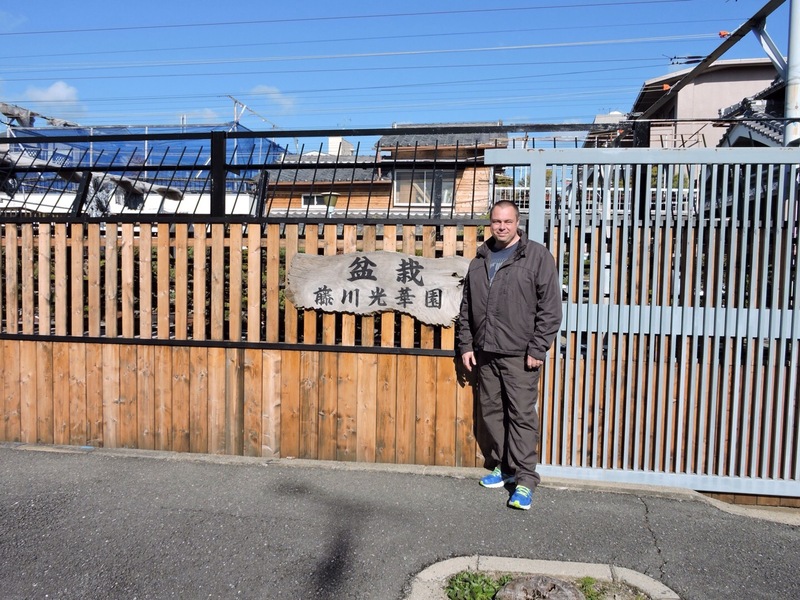 That’s all from Kouka-en thank you to Bjorn for showing us around and to the others for making it a joy to visit. 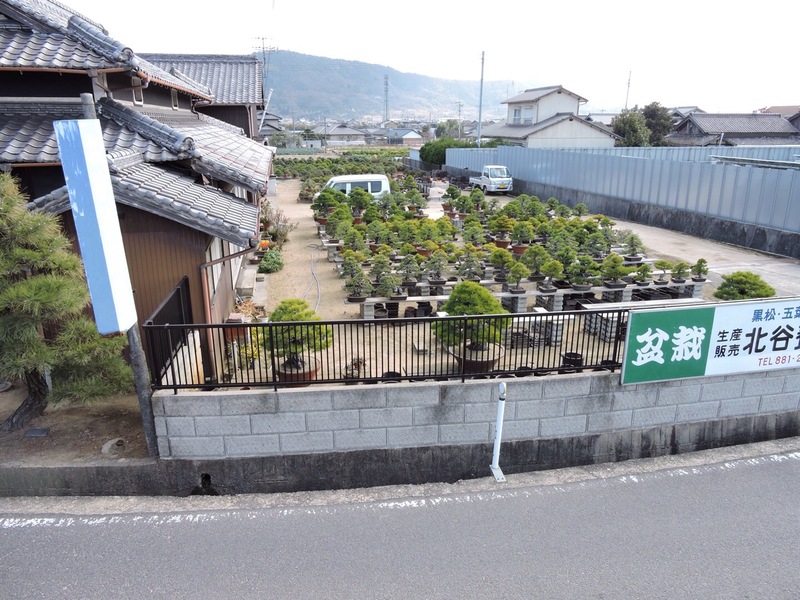 Next up will be Taishoen. 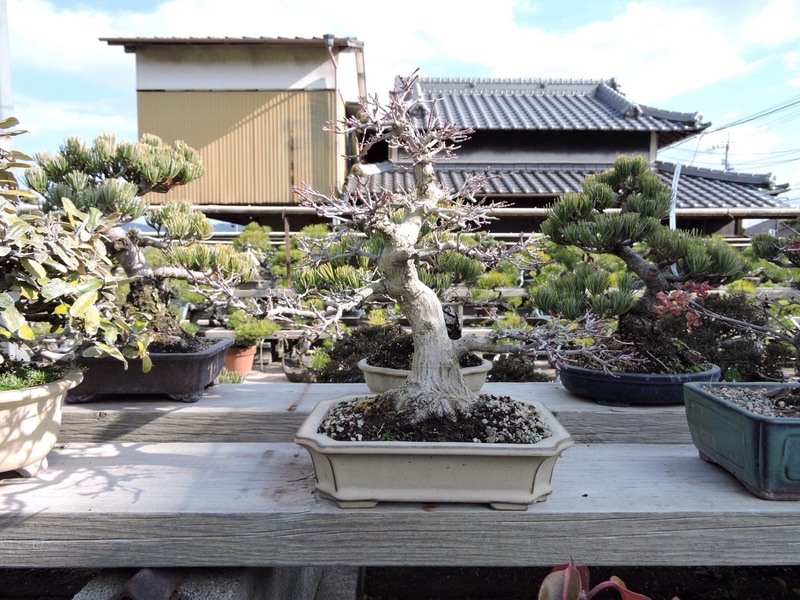 This was a nursery that has been top of my list to visit for some time, and it did not disappoint. 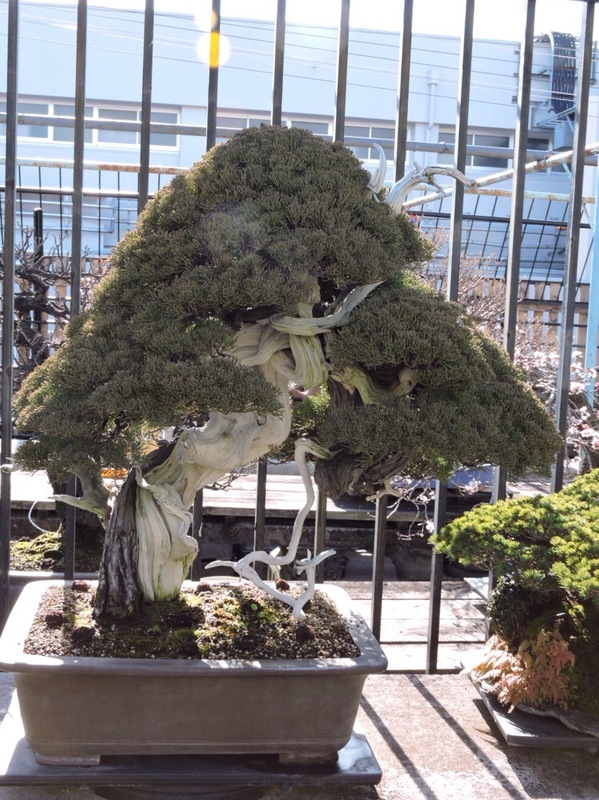 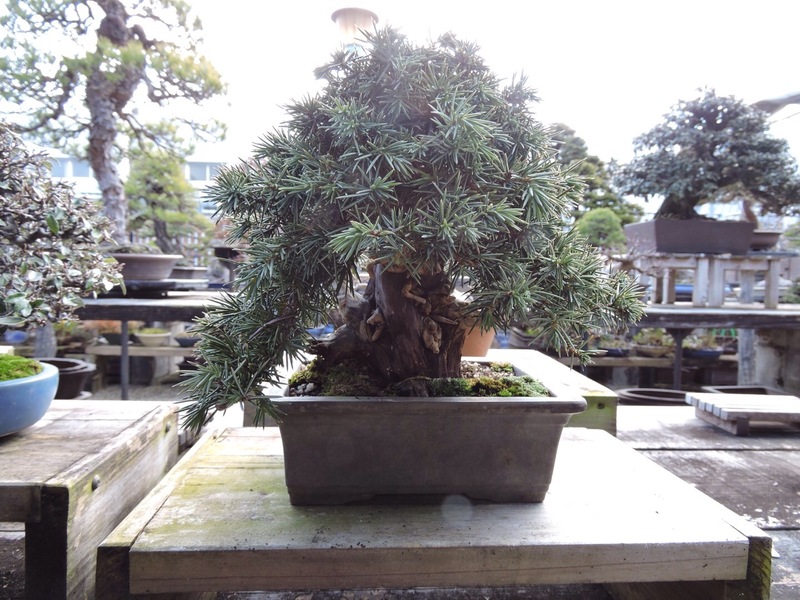 This juniper I first saw in Peter Warrens blog last year, and in the flesh it did not disappoint. 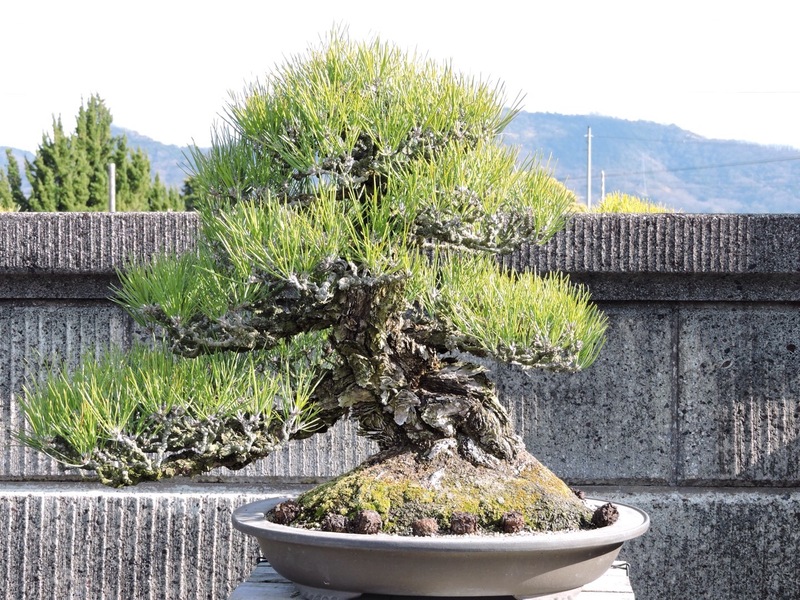 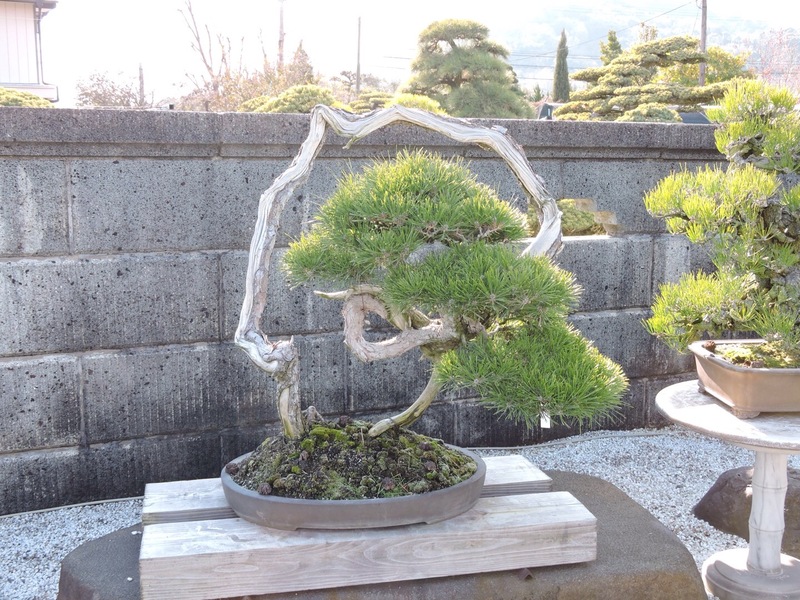 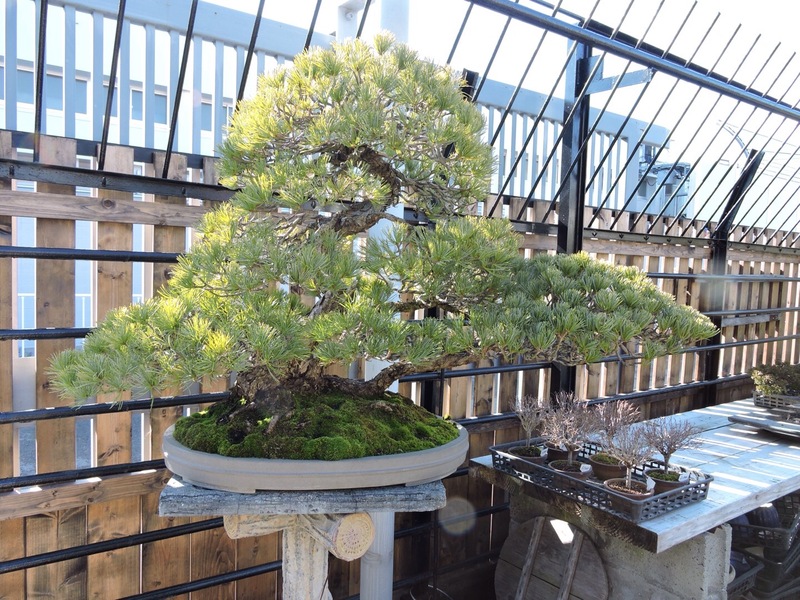 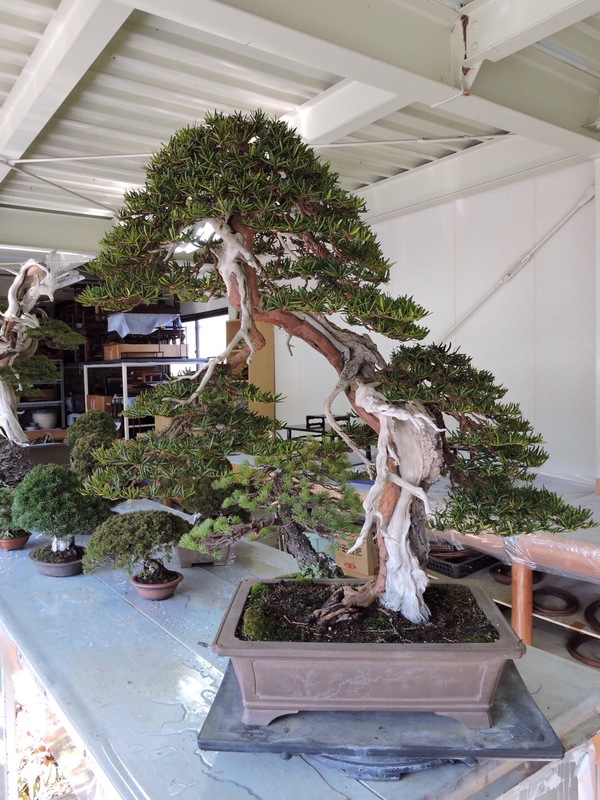 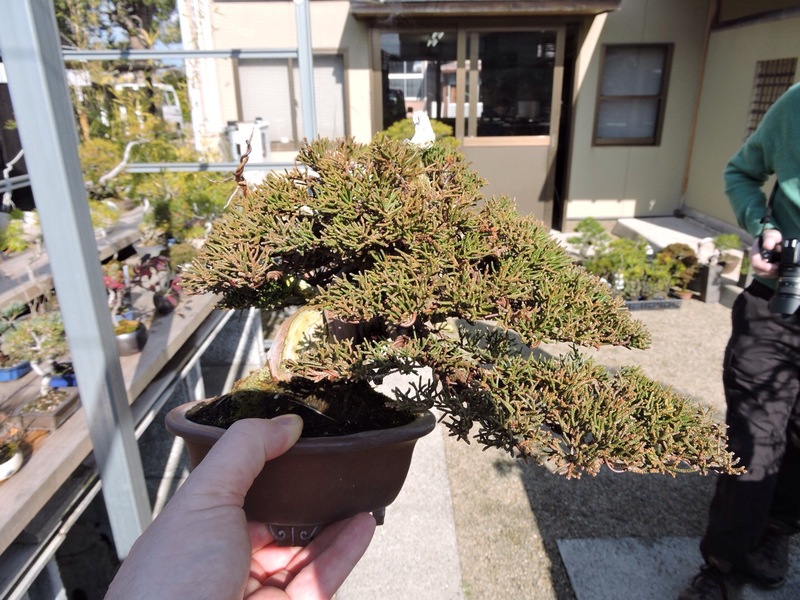 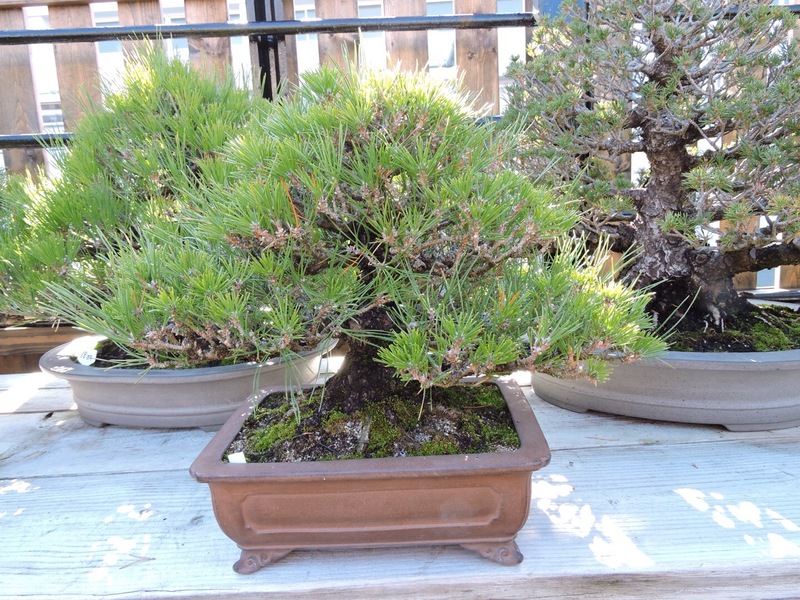 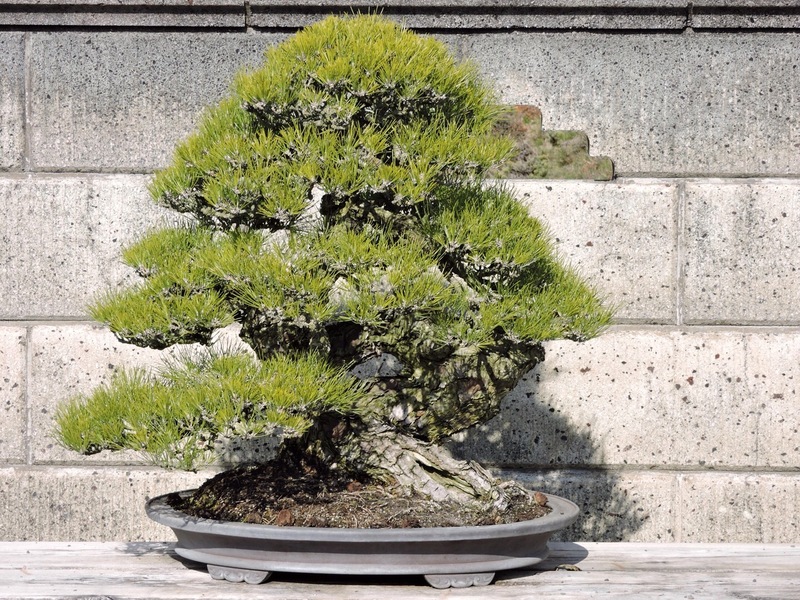 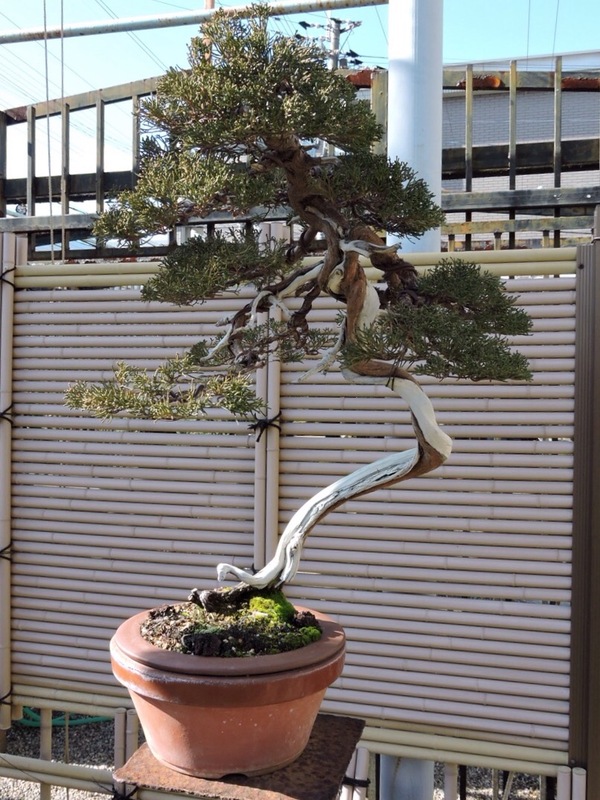 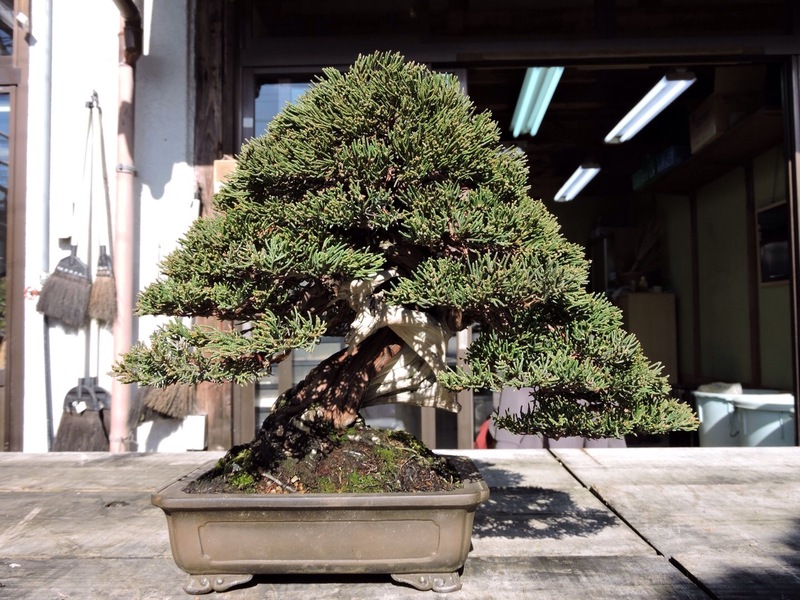 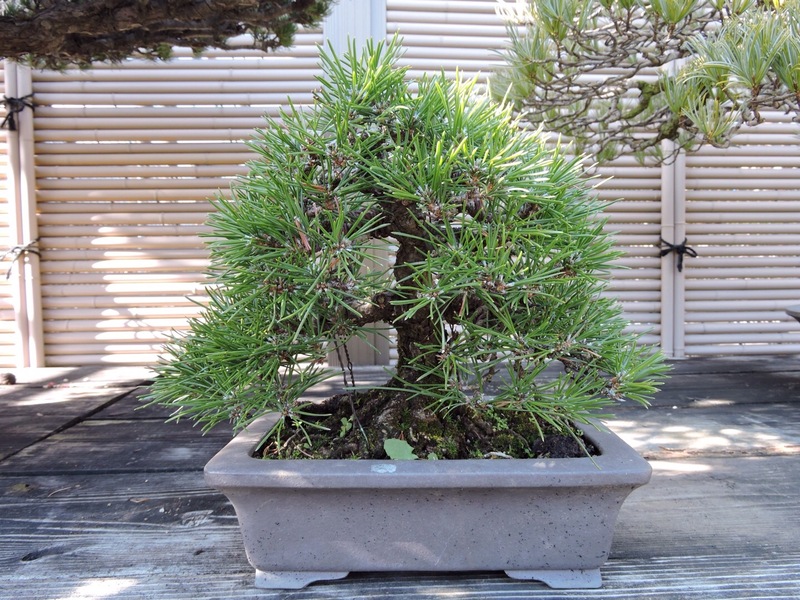 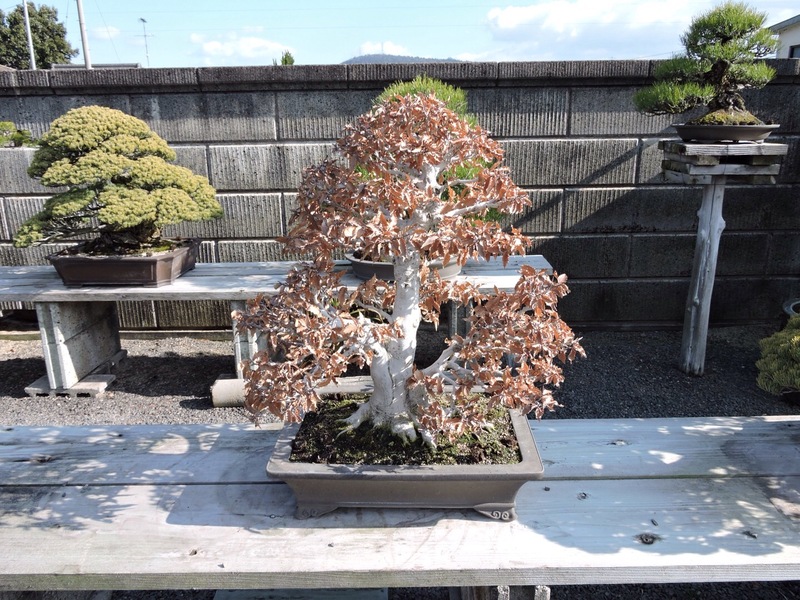 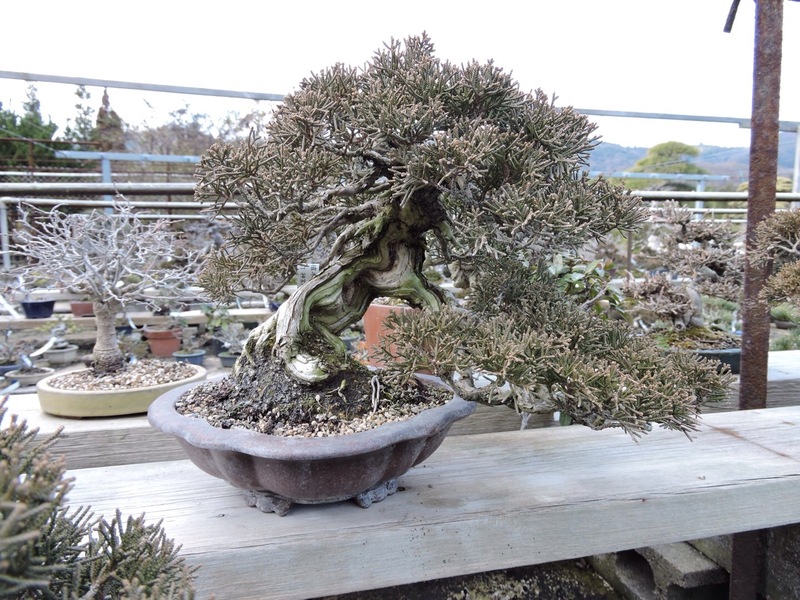 This large Hinoki Sekka that Owen styled a while back was good to meet as I have some of the cuttings he struck from what was removed in the styling. 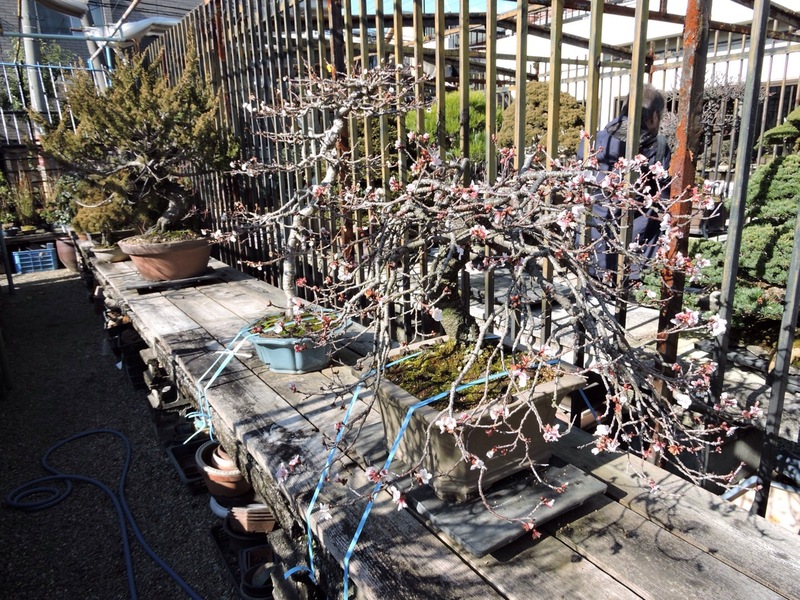 Chatting with Bjorn about this prunus he said it was struggling due to its age so 4 years ago it was grafted with new foliage and the old all removed. 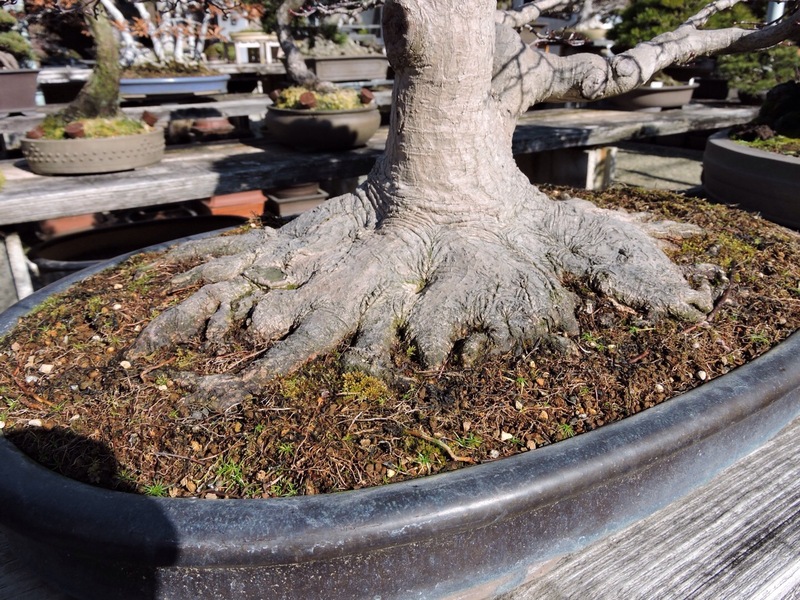 This means everything other than the main trunk is only 4 years old. 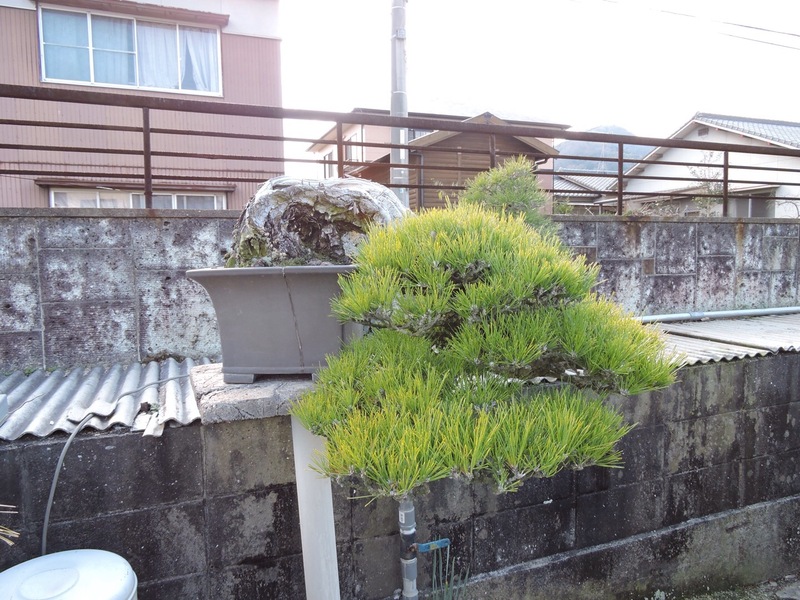 The tree now grows like a teenager again. 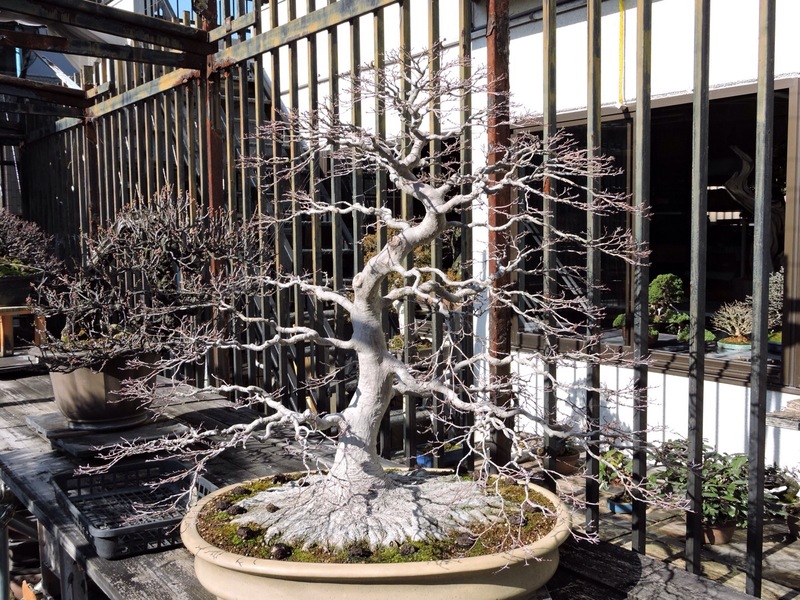 Where as this maple is on a slow decline to the end of its life, it’s already lost a major branch half way up. 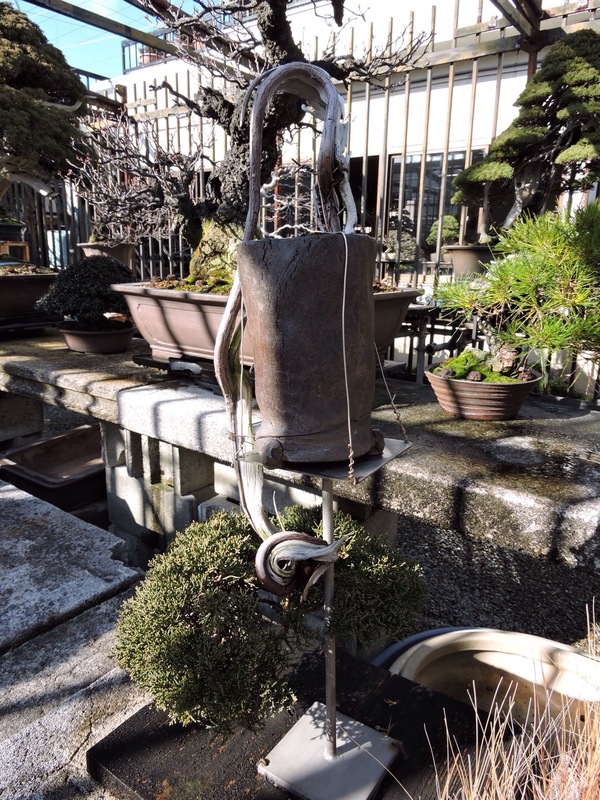 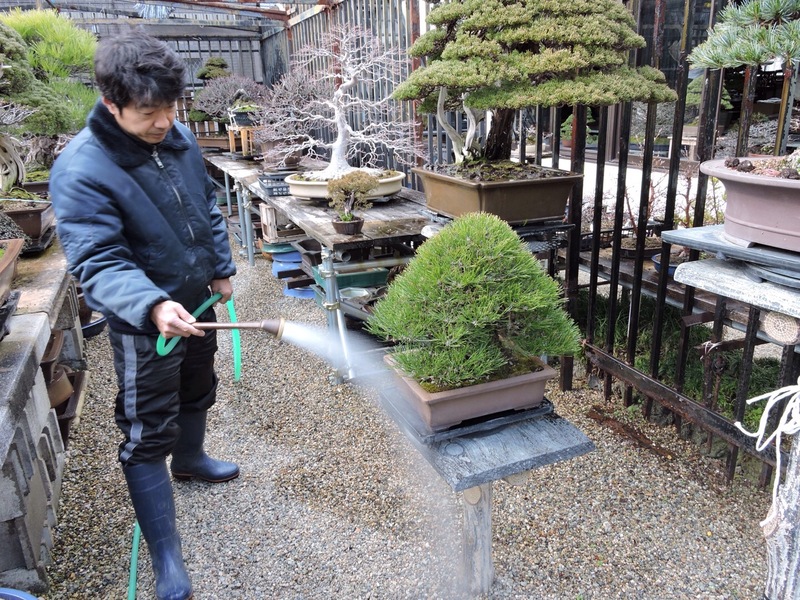 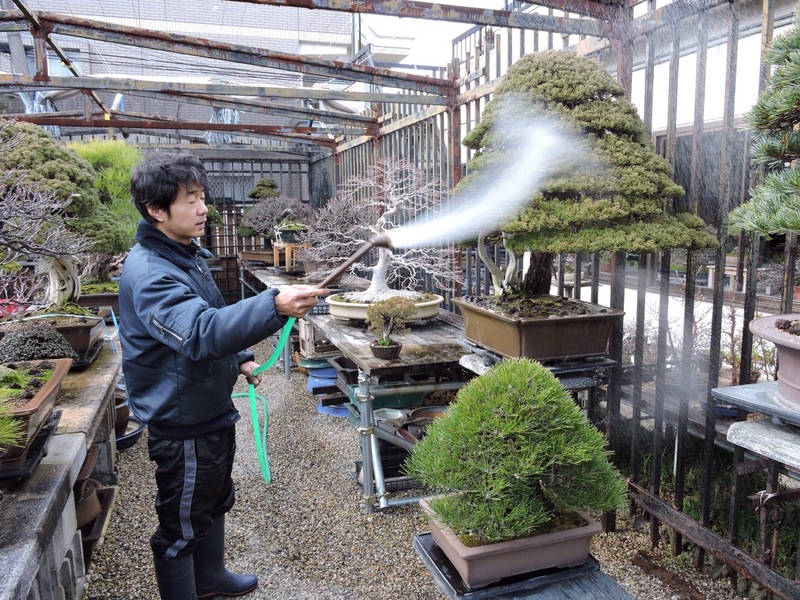 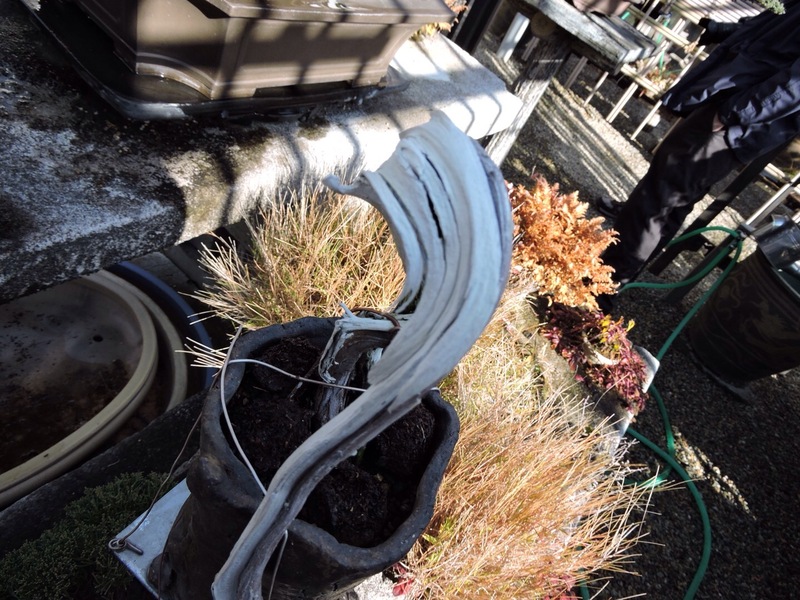 Watering in winter is relatively alien to us in the UK other than trees in sheltered position, but in Japan after lunch trees were checked and most were watered we saw this at Taishoen as well. 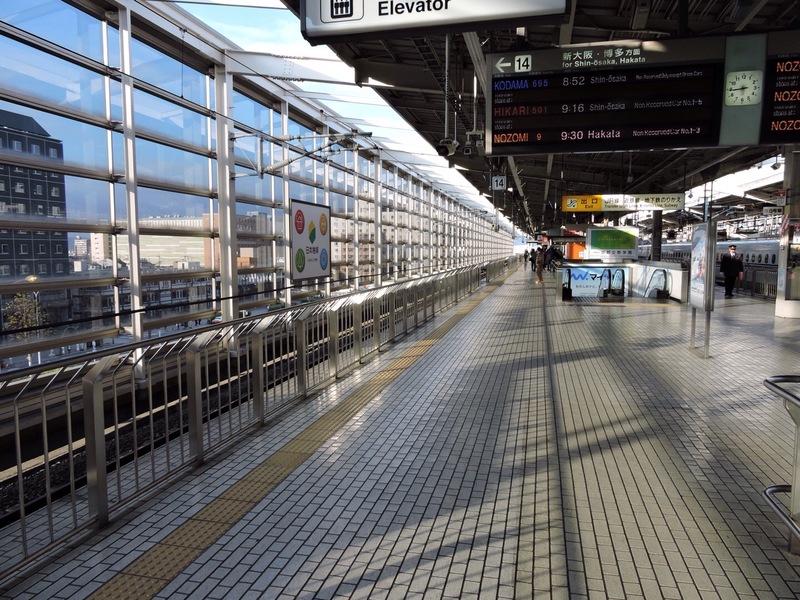 That’s all for now part 3 soon. 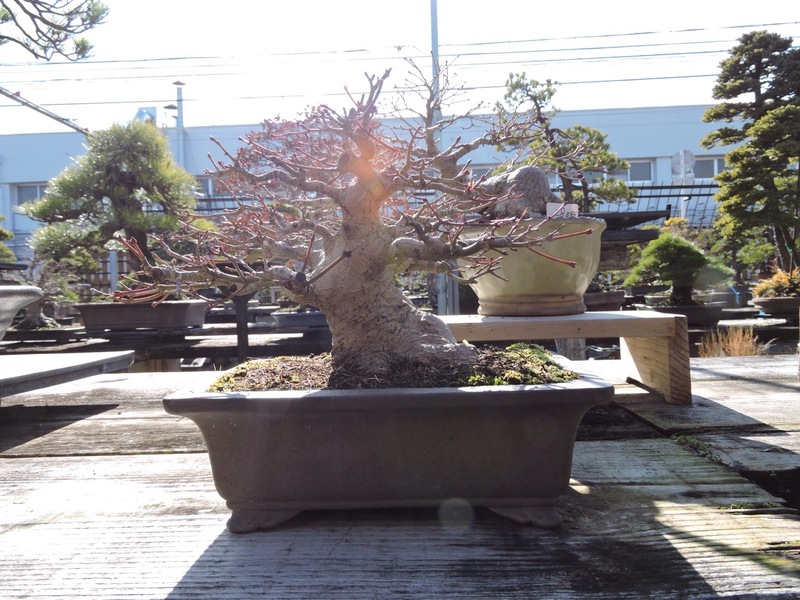 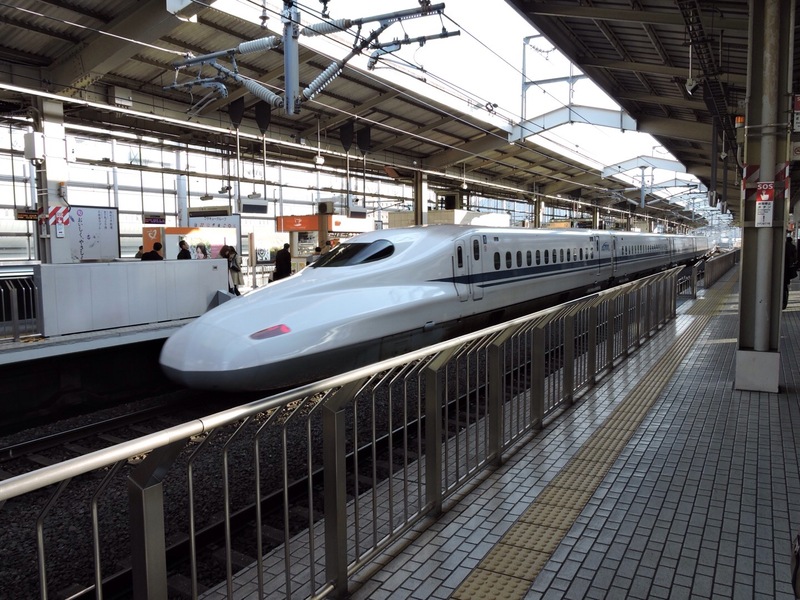 After a snowy start in Kyoto we made our way over to Osaka and by the time we arrived the sun was out and it was quite warm. 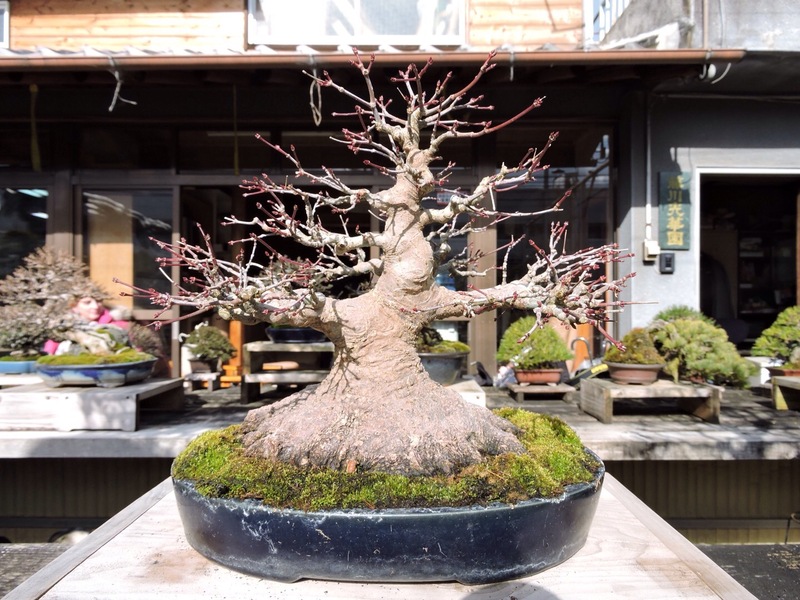 We were welcomed by Bjorn and his team and enjoyed a super day on the nursery and even picked up a few tips, one I will share in a future post. 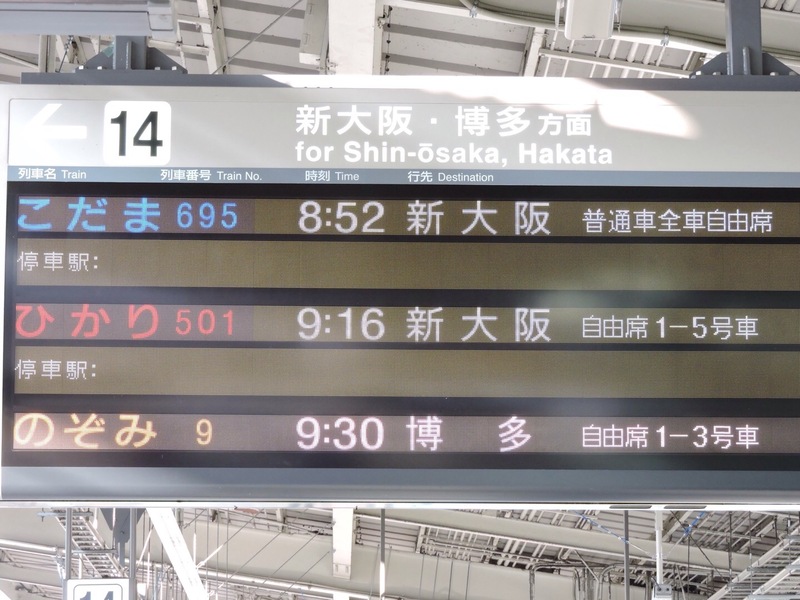 For now enjoy the video and part two or even 3 will be photos. 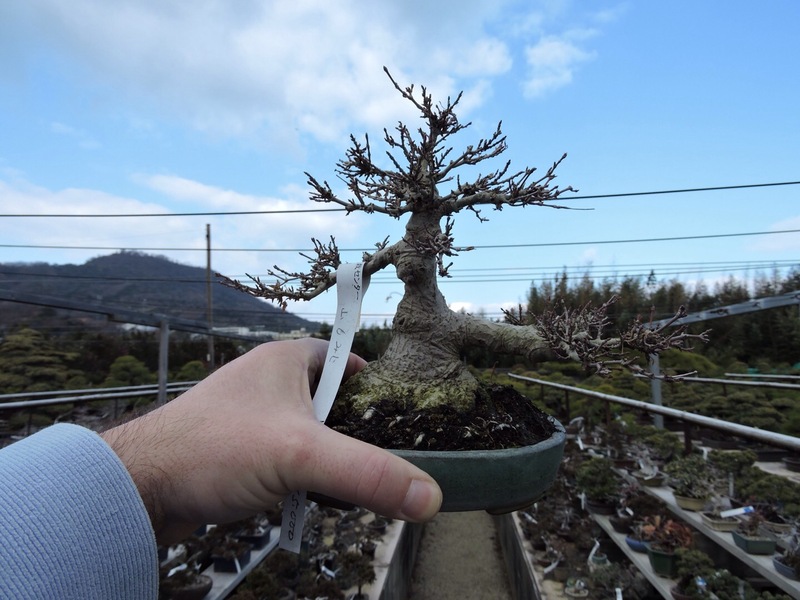 Same tree two years on. 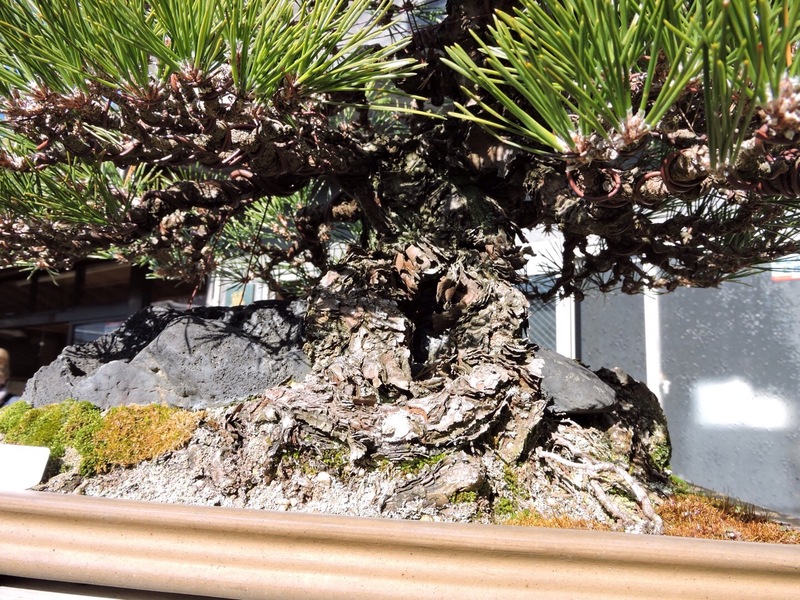 Thought I remembered this tree, first picture was during the ASPAC convention a couple of years ago and bottom one today. 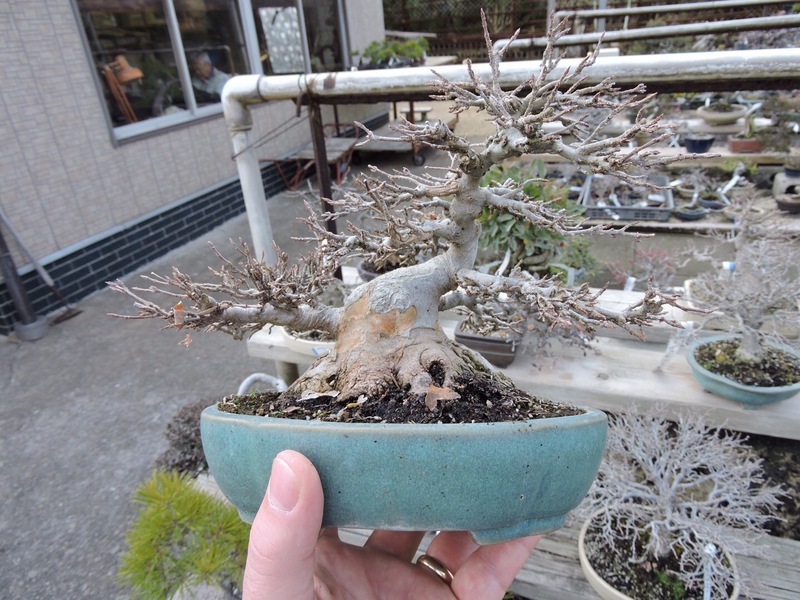 It’s a shame it lost the branch, I guess the deeper pot change was due to it weakening in the shallow one although it looked good in it. 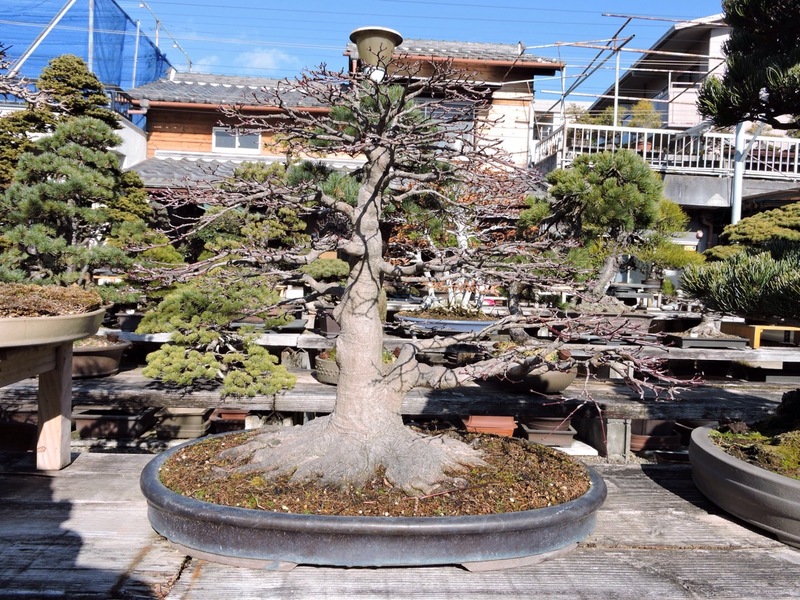 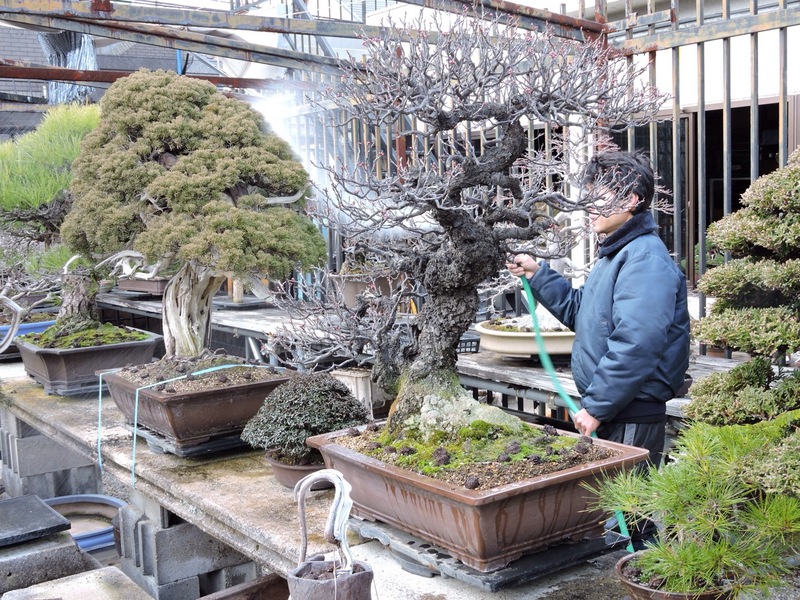 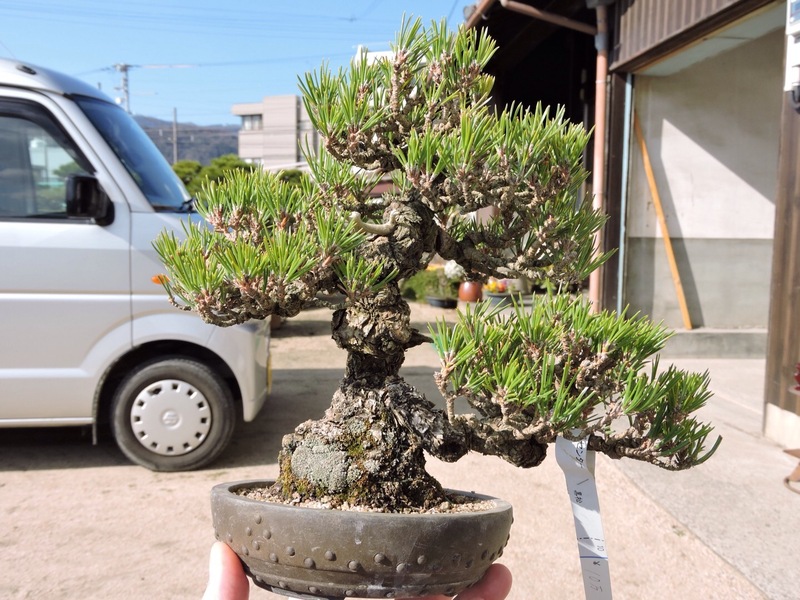 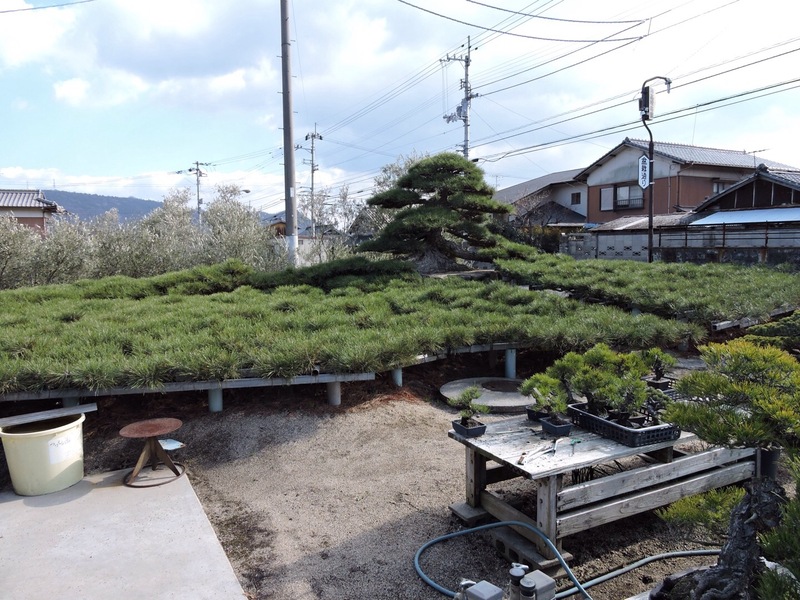 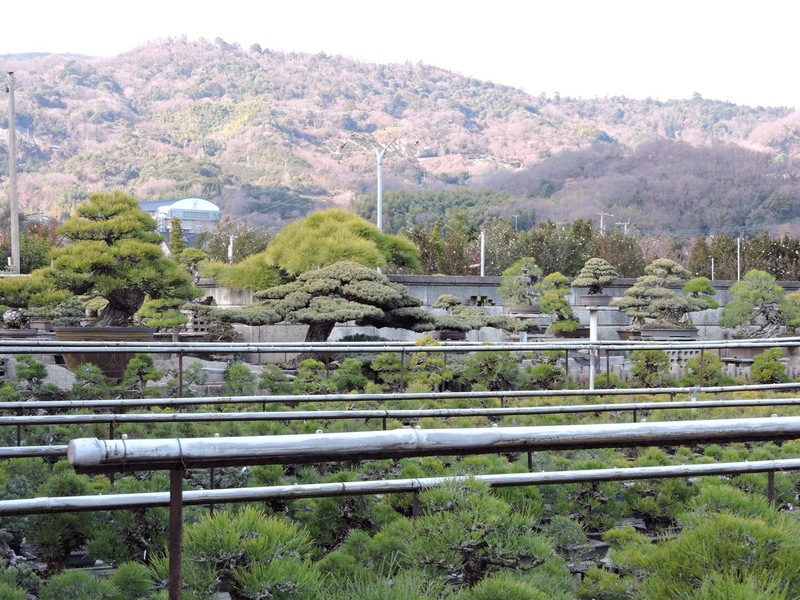 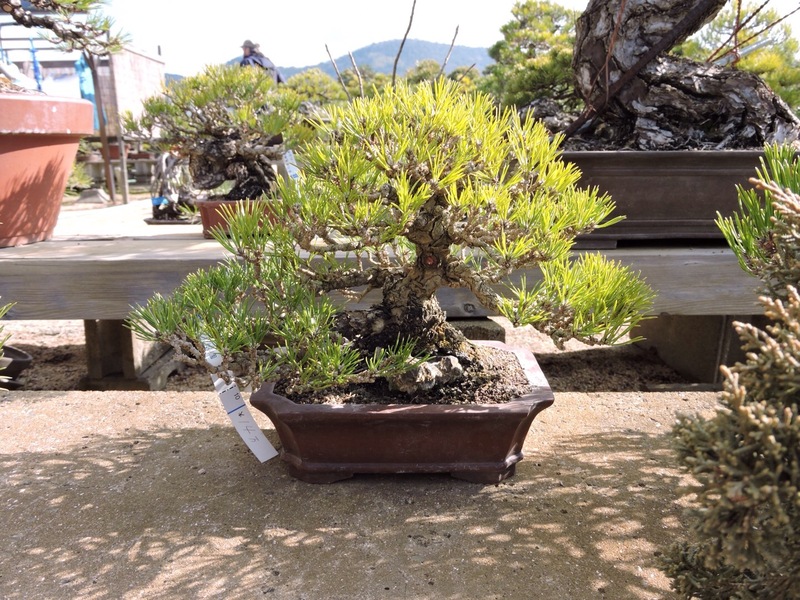 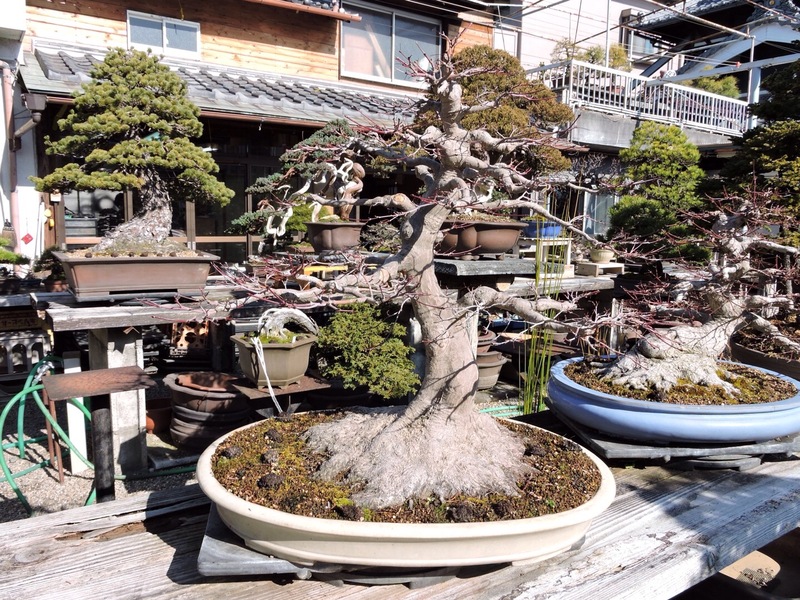 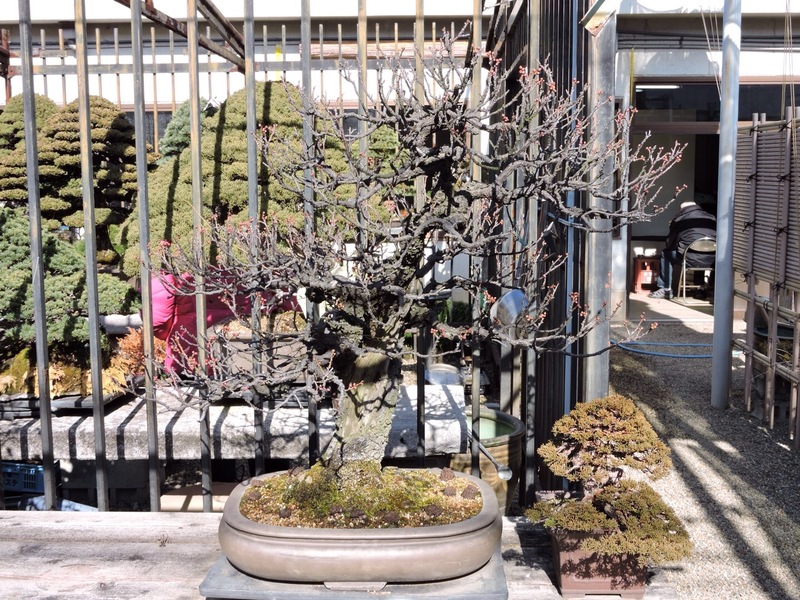 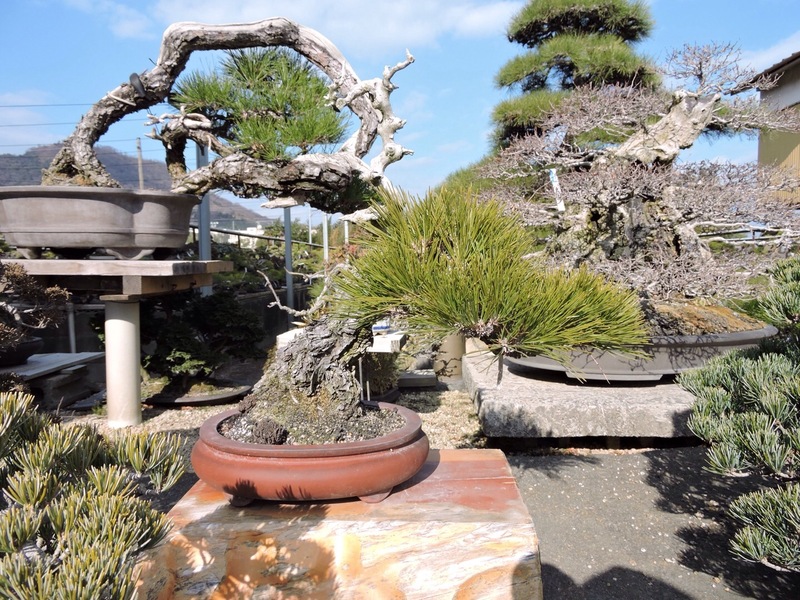 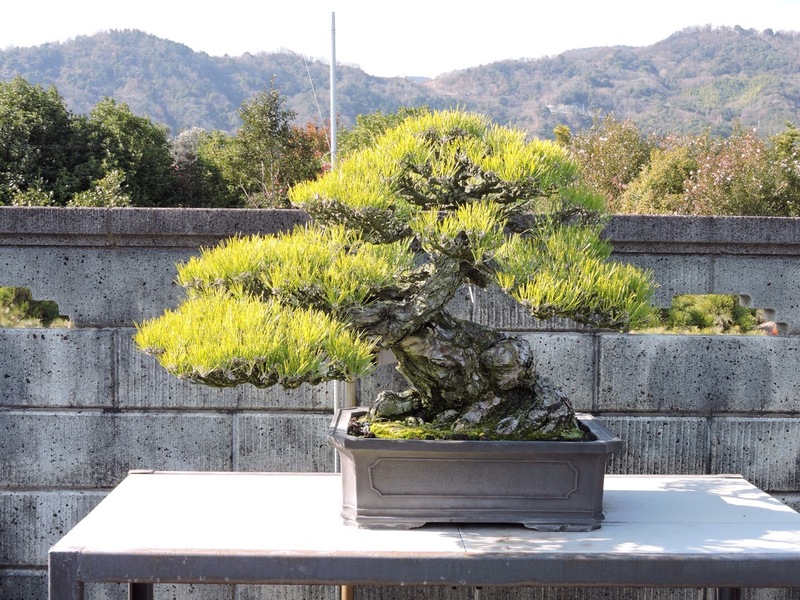 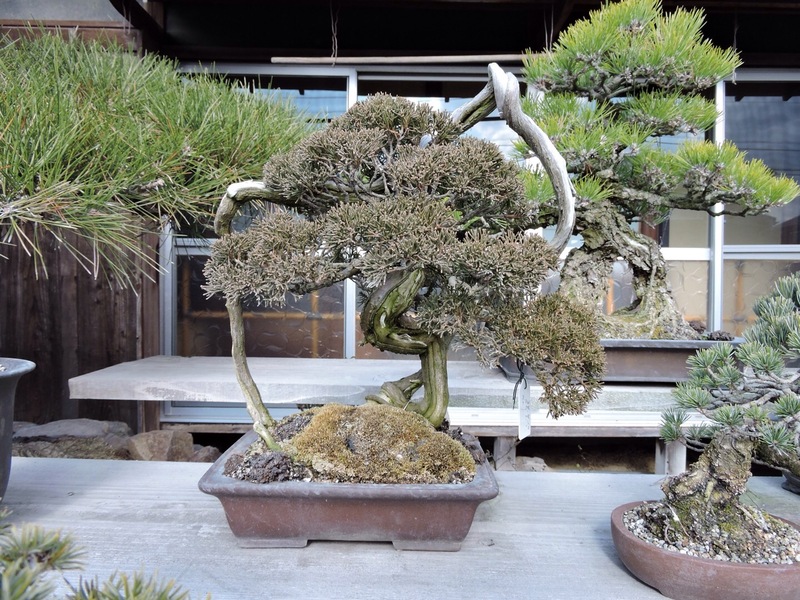 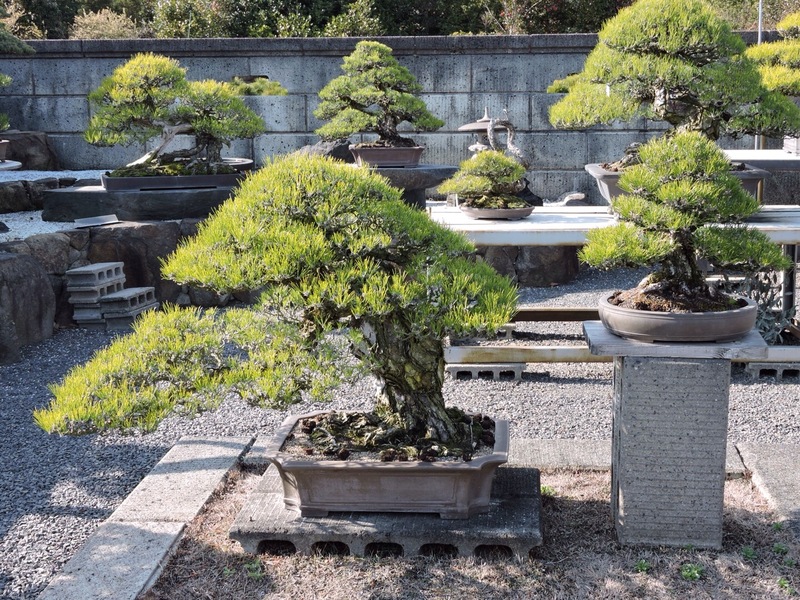 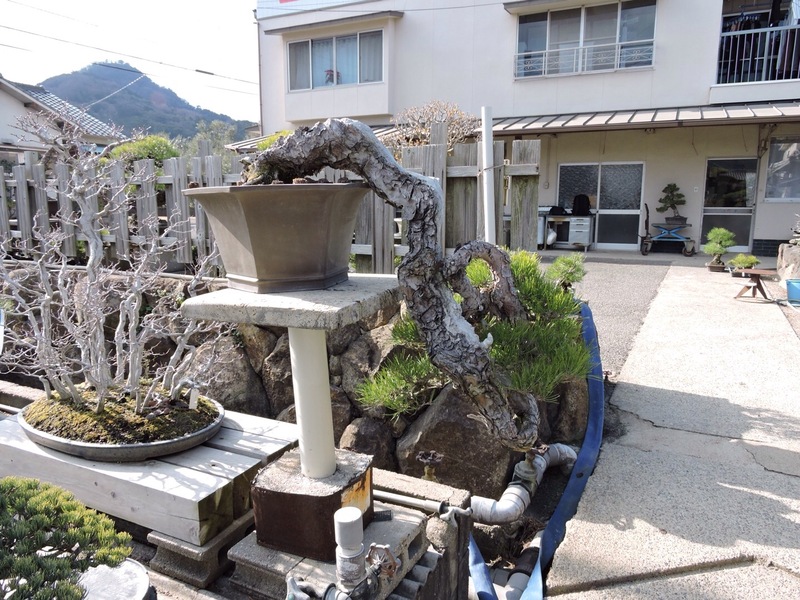 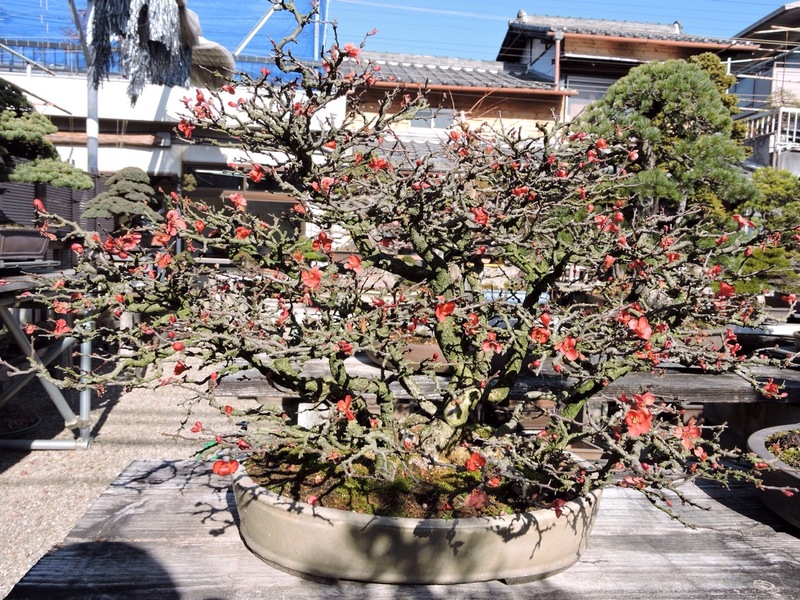 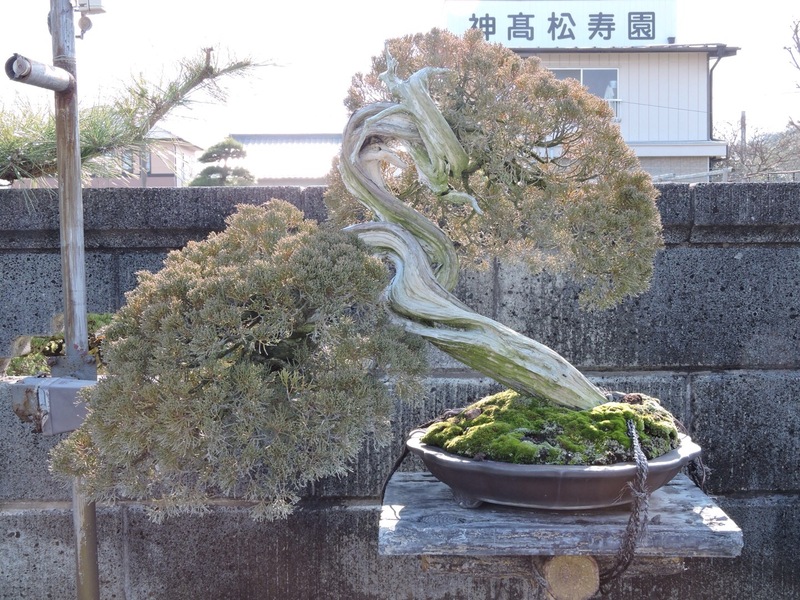 Today we took a 3.5hr train journey to the kinashi bonsai growers area on Shikoku, 3 changes needed and one running down the platform waving to get on a connection the very nice lady driver reopened the doors and welcomed us on. 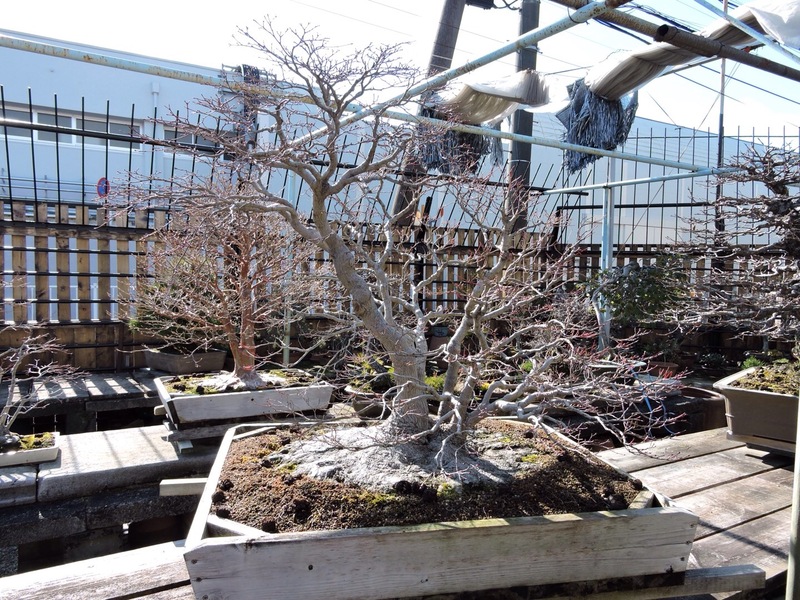 Once we arrived it’s not hard to find bonsai as one grower must be 8ft from the end of the platform so it seemed a good place to start. 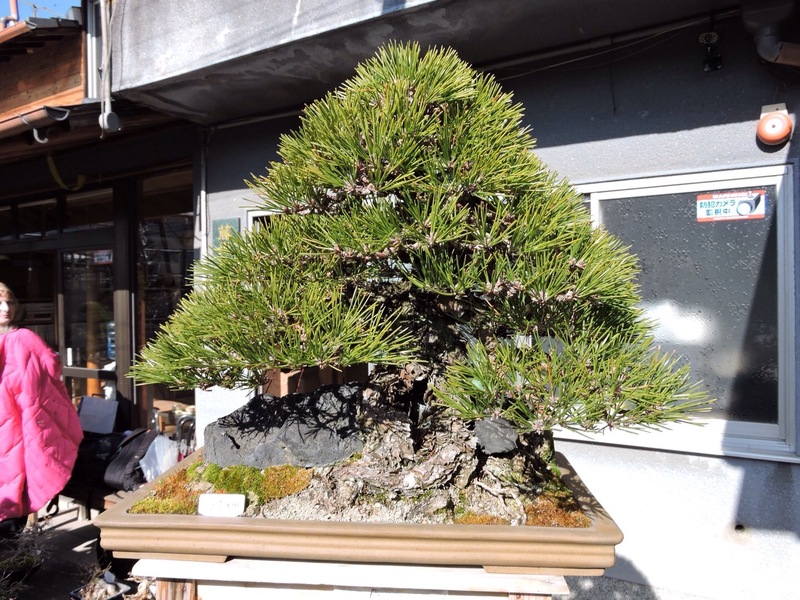 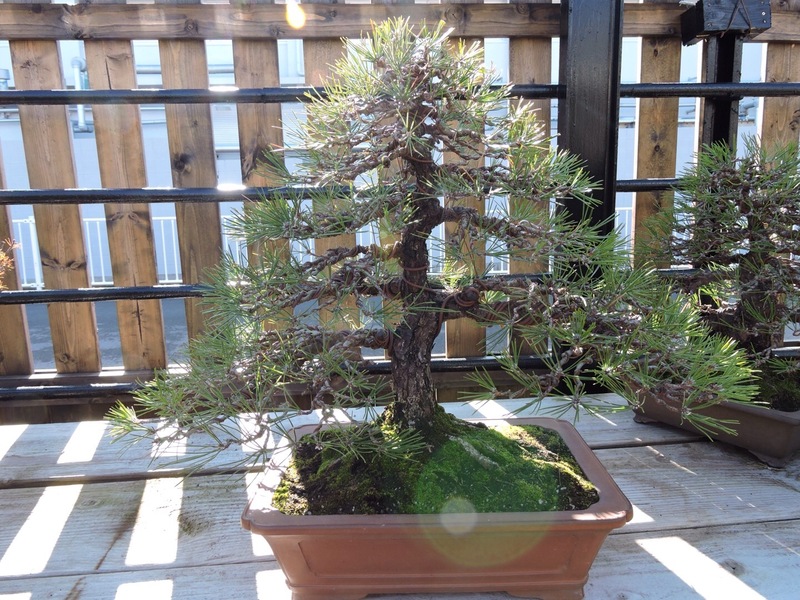 Not many shohin trees around the area but as you would expect manly black pine. 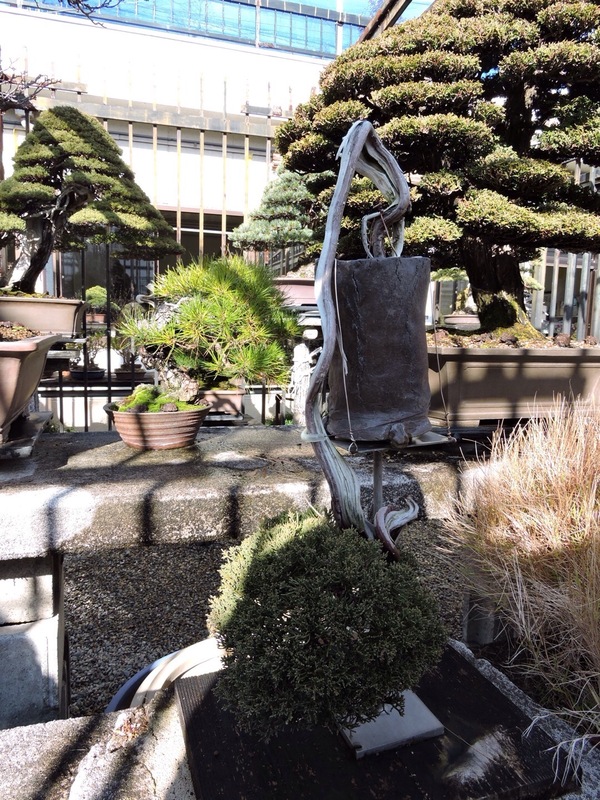 This raft was something different and has good age. 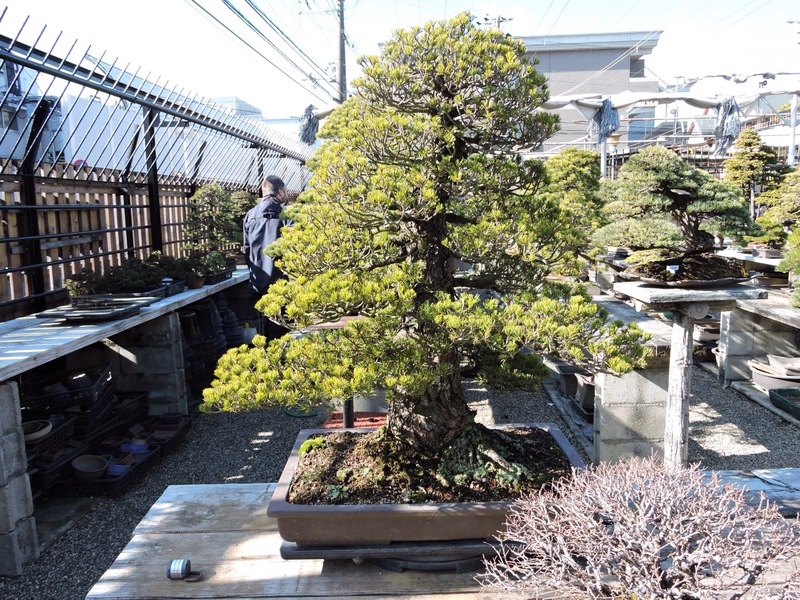 After a quick scout round the nursery and a chat with the owners son, it was time to move on over the next 4hr we went in and out of about 10 nursery varying in quality, but all had something to wow you. 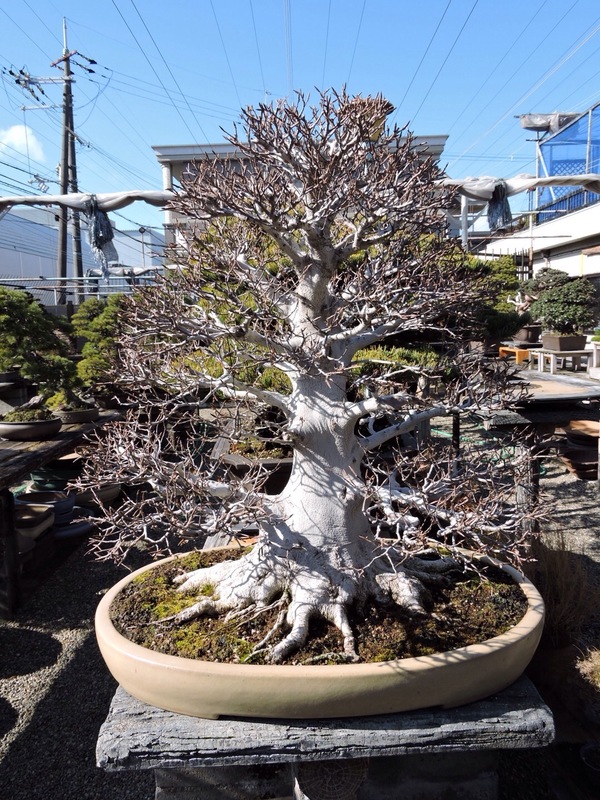 This is one tree and very well know but until you see the size you can’t appreciate it. 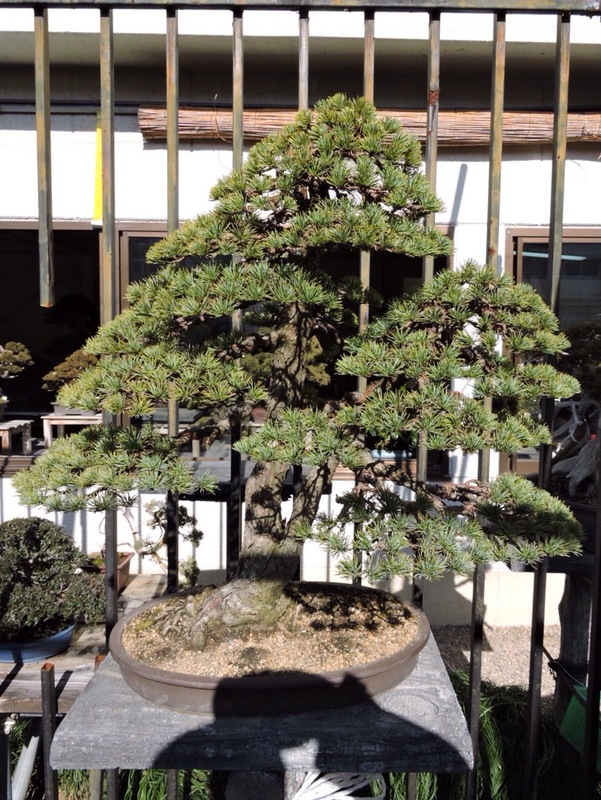 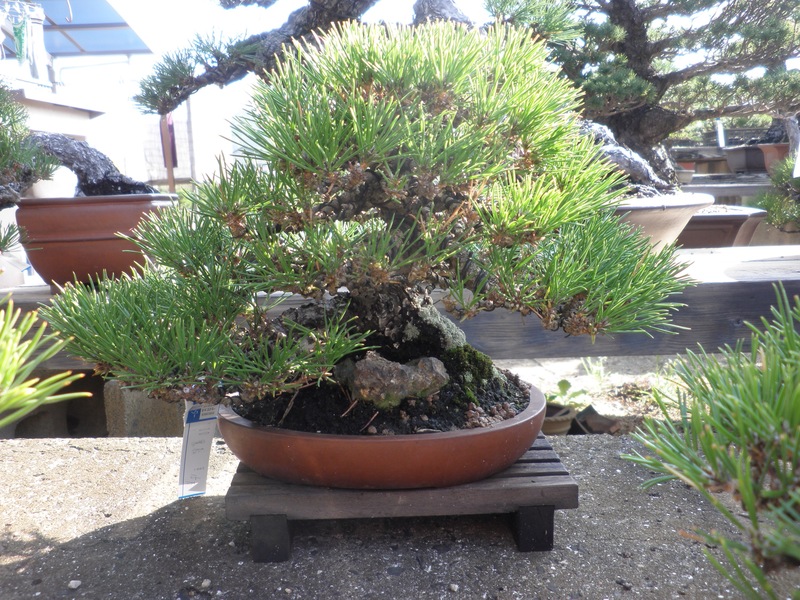 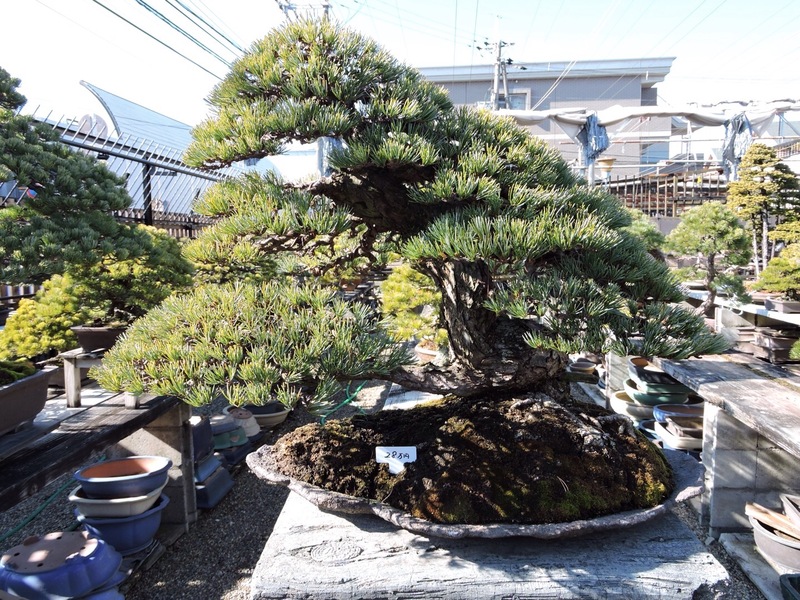 This next one is one of my favourite pines in the area with blemish free lines and multiple viewing angles it’s great. 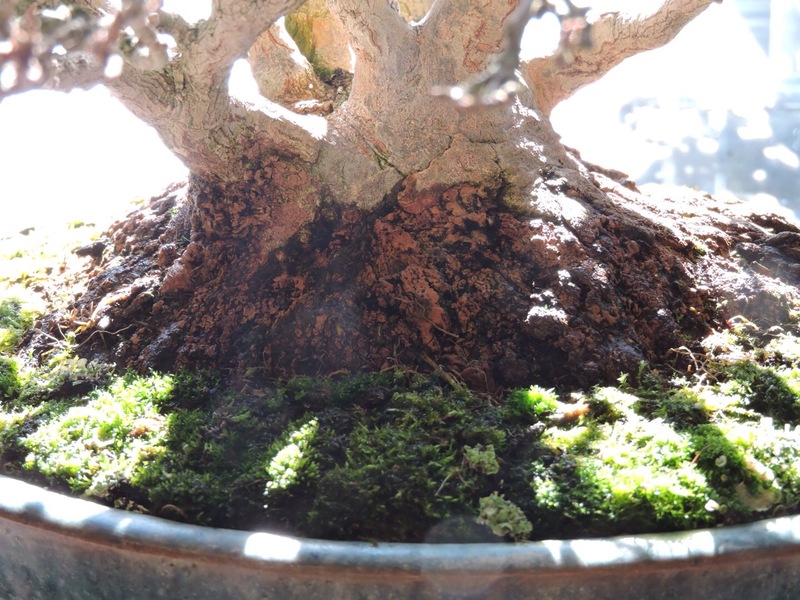 The ramification on the elm was outstanding and it was huge. 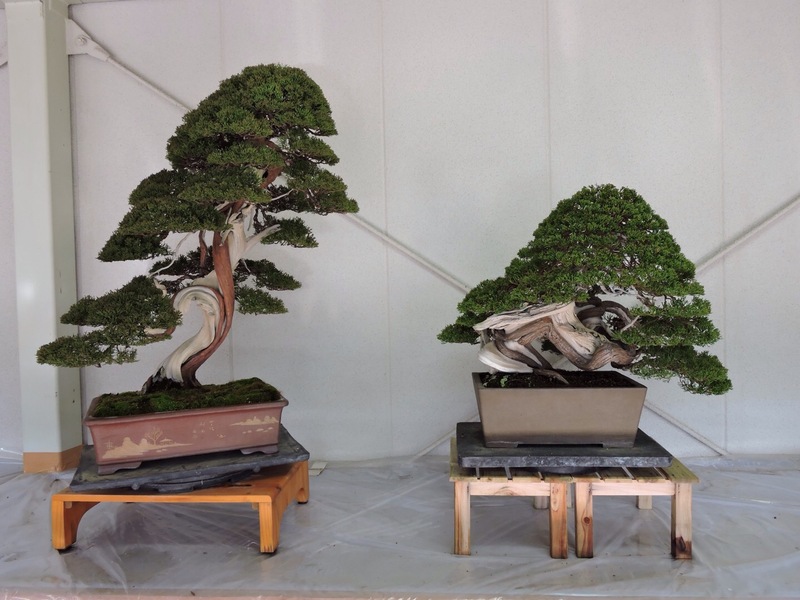 Another day tomorrow and another show, stay tuned.